12/04 Macedonian Radio Television in association with Kaliopi Music Production has scheduled the promotional tour for Macedonian Eurovision entrant Kaliopi. Besides visiting the ex-Yugoslav states, Kaliopi will travel to England, Holland, Belarus, Ukraine, Turkey, Albania and Bulgaria. She will be guest on a various TV shows in these countries. At the same time, singer will continue working on staging of her presentation and creation of a visual image. ����������� ����� � �����������, ��������� � ������� ������ �������� ����������� �������� ��� ����������������� ��������� �� �������� ����������� �������. ������ ��������� ����� ������ ���������, ������� �������� � ������, ���������, ��������, �������, ������, ������� � ��������. ��� ������ ������� ��������� ������� � ���� �������. � �� �� �����, ������ ��������� �������� ��� ����������� ������ ������ � ����� ���������� �������. 12/04 German broadcaster NDR has confirmed today that all three Eurovision shows will be broadcast in the country. The first semifinal, will be aired live on EinsFestival (digital channel of ARD). Later, at midnight CET, NDR will broadcast the show on tape delay. Phoenix, a tv network operated jointly by ARD and ZDF broadcasters, will transmit the second semifinal live. German viewers will have an opportunity to vote in this semifinal. EinsFestival will re-run the show at 23:00 CET. The Eurovision final will be aired live on Das Erste at 21:00 CET on May 26th. Countdown for Baku will be aired at 20:15 CET and the show will be followed by "Grand Prix Party" live from the Reeperbahn in Hamburg at midnight. The final will be repeated at 0:25 and the next morning at 9:30 on EinsFestival. All shows will be available to watch on demand as well at eurovision.de. �������� �������� NDR ���������� �������, ��� ��� ��� ��� ����������� ����� �������� � ������. ������ ��������� ������ � ������ ����� �� ���������� EinsFestival (�������� ���������� ARD). �������, � �������, NDR ������� ������� � ������. ����� ����������� ������ � ������ ����� Das Erste � 21.00 26�� ���. ��������� Countdown for Baku ����� �������� � 20.15, � ����� ������ � ������� ������ ������� "Grand Prix Party" � ������ ����� � ������� ��������� � ��������. ����� ����� ������� � ������� � 00.25 � � 09.30 ���� �� EinsFestival. 12/04 Delivering News First Today, most of Russian media, including the leading broadcaster NTV, have reported on the threat message published by one of the Russian language sites associated with followers of Radical Islam. Website UmmaNews.ru, which is said to be run by "initiative group of Islamic students abroad" has published threat of Azerbaijani islamists to arrange attacks during the Eurovision Song Contest aimed on the participants and guests of the show. Radical Islamists, who have claimed responsibility for the recently attempted terrorist acts in Ganja and other cities of Azerbaijan, declared that Eurovision is "a nightmare for all Muslims" and "a big problem for believers that needs to be solved out". "Whether these forces of Satan think, whether perverts and homosexuals of the world think that they can simply come to the land on which was shed the blood of the righteous Muslims and behave as they wish? We will revenge them with attacks! Blood of this European scum must be shed by the will of Allah", writes website. It is promising that the attacks will be carried out "not with explosives or guns, but chemical weapons and knives" and "no Mossad, no MI6, no CIA, DHS or other three letter organizations will be able to protect them from the punishment". "The Azerbaijani security authorities are of course monitoring this kind of activity. We are completely confident in their ability to ensure this year's Eurovision Song Contest is held safely, for the enjoyment of all, as always," said Sietse Bakker, Event Supervisor of the Eurovision Song Contest on behalf of the EBU to ESCKAZ. �������, ������� ����� ���������� ���, ������� ������� ��������� ���, �������� �� ������, �������������� �� ����� �� ������������� ������, ��������� � ��������������� ������������ ������. ������� UmmaNews.ru, �������, ��� ����������, ������� "������������ ������� ��������� ��������� ���������", ����������� ������ ��������������� ���������� ������������ ��������� � ����� �� ����� �������� ����������� ������ ���������� � ������ ���. ����������� ���������, ������� ����� �� ���� ��������������� �� �������� ������� ���������������� ����� � ������ � ������ ������� ������������, ��������, ��� "����������� �������� �������� ���� ��� ���� ���������" � "������� ��������� ��� ��������, ������� ���� ���-�� ������". "� ����� �� ������ ���� �������, ����� �� ������ ���������� � ��������������� ����, ��� ��� ������ ������ ��� �������� �� �����, �� ������� ���� ������� ����� ��������� ���������, � ����� ���� ��� �������. �� ��� ����������� ����� �������� ��������� � �����. ����� ���� ����������� ����� ����������� ���������, �� ���� ������", ����� �������. ����� �������, ��� ����� ����� ��������� "�� � ������� ���������� � �������, � ����������� ������ � �����" � "������� ������, ��-6, ���, ��� � ������ ������������� ����������� �� ������ �������� �� �� ������������� �� ���������". "��������������� ������ ���������� ��������� �������� ������������. �� ��������� ������� � �� ����������� ���������� ��, ��� ������� ����������� ����� ���� ����� �������� � �������������, ���� ������������ ���� ���, ��� � ������", ������� ����� ������, ����������� �������� �� ���� ��� �� ������� ESCKAZ. 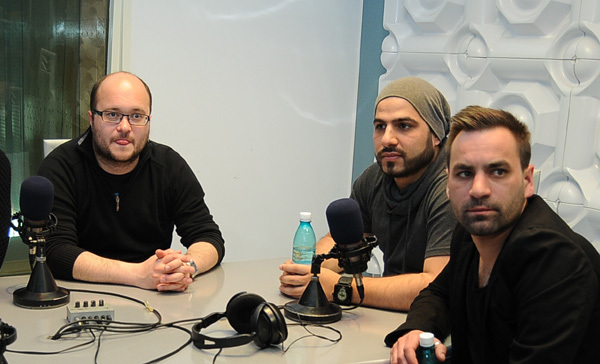 12/04 Interview We're pleased to talk here at ESCKAZ with Austrian Eurovision Song Contest 2012 entrants duet Trackshittaz, who will perform "Woki mit deim Popo" at ESC stage in Baku. "It is an honor to represent our country. This competition is huge- you can compare it with the European Soccer Championships. And it is also a great opportunity to present our music in other countries. We had a great and safe childhood in our country � now we can give Austria something back � this makes it even more exciting", say band members. Member of the band Lukas Plochl has explained the name of the band: "It has something to do with the roots of our band: Two Years ago I wanted to take part at a band contest. But one person was not enough for a music-group. So I called Manuel� and we immediately formed a band. The problem was, that we didn�t have any songs yet � so we started to write, produce and mix six songs all by ourselves within eight days, which was really a lot for our standards! Having managed that, we needed a band name. That�s how we came up with "Trackshittaz". The band of course advices to spell it as Tracks-hitt'az. They explain the song "Woki mit deim Popo" as about "being open-minded and have fun and party your problems away". "We started to produce our new album and �Wokimitdeim Popo� was our second song and we immediately thought that it would be perfect for the ESC, especially in 2012 as Baku is one of Europe�s top ten party cities". As per the performance language, band members say: "Muhlviertel" dialect is very catchy, smooth and fluent compared to standard German, which makes it to an ideal Rap-Language - in our opinion it�s always easier to express things and feelings in the mother tongue. It�s also the language we talk in, when we hit the clubs, go out and have fun. So there are a lot of words, which exactly match with the way we party! We also think that it�s important to represent Austria at the ESC in our own language, because it�s simply more authentic. And you don�t have to understand all the lyrics to know, what a song is about!". Band plans to release some club-remixes and has invited DJs and musicians to help them in this. They have filmed a music video for their song, but at the same time the national performance has been submitted as preview video: "On one hand it is always important to have a professional Music Video � but on the other hand, we want to give the Eurovision-Audience a little preview of how we rock the stage". On the Baku stage Trackshittaz will be joined by their three dancers: "they like to call themselves for fun �Stangenschlangen� (Polesnakes), are all professional dancers who practice pole dancing as a high performance sport. Conny is the head of them, and in charge of the pole-choreography. 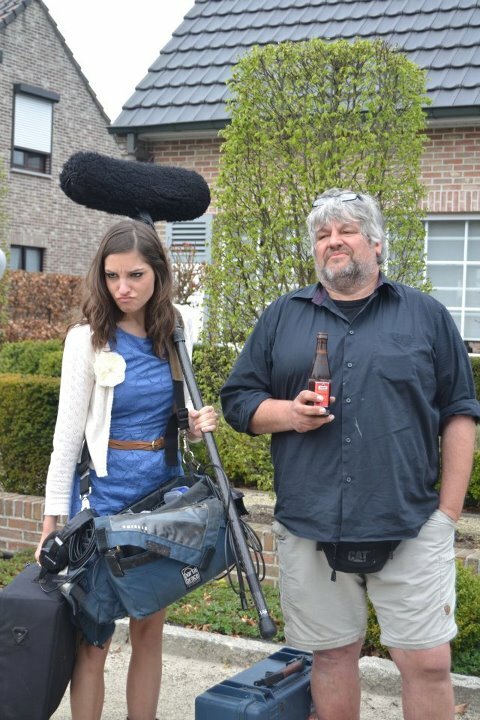 Marie is the new one in our team � but we already worked with her on previous TV-Shows. Bianca has a lot of temper and fits perfectly in our constellation". Band plans to attend Promo Concert in Amsterdam, to go to Germany for some TV-shows, but most of promotion will be done not physically but on the internet. "We think, that it is important that people already know who we are, before we enter the stage. The question on the 22nd of May should be: "How will they perform?" and not "Who are those two crazy people?". Regarding other entries in competition, Trackshittaz think that "it is a very high level this year and there are a lot of great songs. 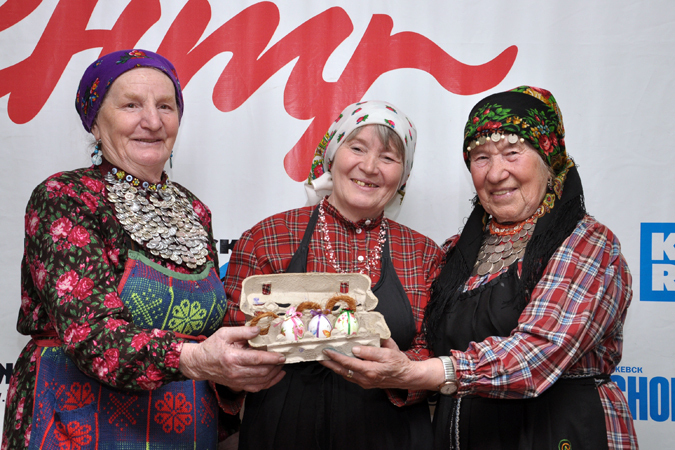 One of our personal favorites are the Russian Grannies, we love their performance and hope to meet them in Baku". "Basically we like competitions, because we both played soccer in our youth and competing was always important to us", say Trackshittaz. As per their contest aim they note: "It would be a lie if we said "The most important point is not to win but to take part!" Every participant dreams of winning the Song Contest. Our first goal is to reach the final � and then we want to make everybody in Europe to "wokimitdem Popo". Besides Eurovision band is currently "working on some summer songs and apart from that Lukas is working on his first solo-Album which will go in a different direction from what people might expect. Besides that we are already preparing our 4thTrackshittaz-Album". "Leave your problems aside, free your mind, have a good time and "Wokimitdeim Popo" is duet's message to the readers. As usual, you can read full text of the interview on our page in Facebook. For Austrian fans, Trackshittaz will perform at �Willkommen Osterreich� tonight, 21.55, ORF eins �� ���� ���������������� �� ��������� �������� ESCKAZ �������������� ������� �� �������� ����������� 2012 ������ Trackshittaz, ������� �������� �� ����� � ���� ����� "Woki mit deim Popo". "��� ��� ��� ������� ����� - ������������ ���� ������. ��� �������� ������� - ����� �������� ��� � ����������� ������ �� �������. ��� ����� �������� ����������� ����������� ���� ������ � ������ �������. � ����� ������ � ��� ������ ���������� � ����������� ������� - � ������ �� �� ������ ������������ � �������� �� ��� - ��� ������ ���� ������� �� �������� ��� ����� ����������", ������� ��������� ������. ������ ����� ������ �������� ��������� �������� �������: "��� �������� �� ������� ������. ��� ���� ����� � ����� ������� ������� � �������� �����... �� ������ �������� �� ���� ���������� ��� ������ ��� ������. ������� � ������ �������... � �� ���������� ������������ ������. �������� ���� � ���, ��� � ��� �� ���� ����� - � ������� � ������� ������ ���� �� ��������, �������������� � ������������ ����� ����� - ��� ���� �� ����� ������ ����� �����! ����������� � ���� �������� ��� ������������� �������� ������. ��� �� ������ � "Trachshittaz". ������, ������� ��, �������� ����������� ��� ��� Tracks-hitt'az. ��� ���������, ��� ����� "Woki mit deim Popo" ������������ � ���, ��� "���� �������������, � ����������, ������� � ����� ���������". "�� �������� �������� ��� ����� ����� �������� � "Wokimitdeim Popo" ���� ������ ����� ������, � �� ���������� �������� � ���, ��� ��� ������� �� ��� �����������, �������� � 2012 ����, �������� ��, ��� ���� ������ � ��� 10 ������ ������� ������ ��� ����������". ��� �� �������� ����� ����������, �� ��������� ������ ��������, ��� "��������������� ������� ����� ��������������, ������� � ����������, �� ��������� � ������� ��������, ��� ������ ��� ��������� ��� ���� - �� ������ ������, ������ ����� �������� ������� �� ����� ������ �����. ��� - ���� �� ������� �� �������, ����� �� ���� � �����, �� ���������, ���������. � ��� ���� ����� ����, ������� ��� ��� �������� ��� �������� ����� �������. ����� �� ������, ��� ��� ����� - ����������� ������� �� ����������� �� ����� ������ �����, ������ ��� �� - ����� �����������. � �� ����� ����, �� ����������� �������� ���� �����, ����� ������ - � ��� �����!" ������ ��������� ��������� ��������� ������� �������� � ���������� ������� � ���������� ������ �� � ����. ��� ����� ��������� �� ���������� �����, ��, ��� �� �����, � �������� ������������ ������ ���� ������ ����������� � ������: "� ����� ������� - ������ ����� ����� ���������������� ����������, �� � ������, �� ������ ���� ����������� ����������� ����������� ��������� ���������� �� ��, ��� �� �������� �� �����". � ���� � Trackshittaz �������������� ��� ����������: "��� �����, ����� �� �������� "Stangenschalngen" (���� �� �����), � ��� ���������������� ����������, ������� �������� � ������ �� ����� ��� ���������������� �������. ����� - ������� �� ��� � �������� �� �� �����������. ����� - ������� � ����� ������� - �� �� ��� �������� ������ � ��� �� ���������� �������. � ������ ����� ������������, � ������ ��� �������� ����������� � ���� ���������". ������ ��������� �������� �����-������� � ����������, � ����� ��������� � �������� �� ���������� �������, �� �������� ��������� ����� �������������� ����� ��������. "�� ������, ��� �����, ����� ���� ��� ����� ����, �� ����, ��� �� ��������� �� �����. ������ 22�� ��� ������ ����: "��� ��� ��������? ", � �� "��� ��� ���� ��������?". � ������ ������ �� ��������, Trackshittaz ��������, ��� "� ���� ���� � ���� ����� ������� ������� � ����� ������� �����. ������ �� ����� ��������� �������� ������� �������, �� ������� �� ����������� � ���� ������� � ����". "� �����, �� ����� ������������, ������ ��� � ��������� �� ��� ������ � ������, � ������������� ���� ������ ������ ��� ���". ��� �� �������� ���� �� ��������, �� ������ �������: "���� �� �����, ���� �� �� �������� "����� �� ������, � �������". ������� ��, ������ �� ����������� ������� � ������ �� �����������. �� ������ ���� ������ - ����� � �����. � ��� �� ��� �������� ���� � ������ "wokimidem Popo". ������ �����������, ������ � ��������� ����� "�������� ��� ����������� ������� �������, � ������ ����� ����� �������� ��� ����� ������ ������� ��������, ������� ����� � ����������� ��� ������ �����������. ����� �� ��� ������� 4� ������ Trackshittaz". "�������� ���� �������� ������, �� ���������, ������ ��������� ����� � "Wokimitdeim Popo" - �������� ����� � ���������. ��� ������, � ������ ������� �������� �� ������ ������������ �� ����� �������� � ��������. ��� ����������� �������: Trackshittaz �������� � "Willkommen Osterreich" ������� ������� � 21.55 �� ORF eins. Ilie Nastase, the famous international tennis player, is one of the first VIPs trying to learn the "Zaleilah" steps, after watching the video tutorial on YouTube. He had a lot of fun meeting Mandinga, talking and dancing with them. He was a fan of Zaleilah from the very beginning, so that after meeting the group, he openly expressed his full support for the group in Baku in May. ���� �������, ���������� ����� � ������, ���� ����� �� ������ �������������, ������� ��������� �������� ��������� �������, ��������� �����-���� �� Youtube. �� ������� ������� ������������ �� ������� � ���������, ����������� � ���������� � ����. � ������ ������ ���� ��� ����������� �������, � �������, ����� ������� � �������, ������� ������� � ����� ������ ��������� ������ � ���� � ���. 12/04 Shootings for a music video for a song representing Belarus at Eurovision 2012 "We Are The Heroes" have been started. They are carried out by BTRC along with Litesound brothers company, supported by the Ministry of Emergency Situations of Belarus. As noted by the BTRC press service, according to the script it is going to be a large-scale video because the song itself is rather a global issue. Filming the rescue of mankind from disaster is the idea of brothers Dmitry and Vladimir Karyakin. They are at the same time also directors of the video. "We decided not to go the easy way, and are filming the video on the original, action-packed scenario" - noted leaders of Litesound. - "The idea of a mini-movie - the salvation of the world. As planned, it should fully disclose the meaning of the song. Song "We Are The Heroes " says that each of us is a hero, and if we all believe and go to our goals, then we will achieve it, despite all the difficulties. Only the total unity and faith will save the world." "It will be shown on the example of the rescuers. Guys will play roles of the rescuers. In the video will will be shown the collapse of the liner, and they will be saving the passengers. Then there will be coming end the world - erupting factories, crashing trains, meteor rain. Will be anything. Also in the clip will be thousands of volunteers who will run the sky lanterns, and thus with this general unity will save the world, " said band director Yuri Karyakin. The set for the filming of the major episodes of the video is the unique test site of MOE. Directly involved in the production are the rescuers themselves, as the scenario of the video has a lot of explosions and action scenes, both in daytime and at night. Music video is expected to be finalized in late April. Immediately upon completion of the work it will be presented internationally. In parallel, the group is working on a staging of the performance for "Eurovision". Yesterday the group announced that the director of the staging for the contest will be Natalia Petukhova, who has also worked on the group's presentation in the national final (as well as performances of all other participants in the final of Eurofest, except Victoria Aleshko). "With our stage presentation we want to say that everyone is a hero to some degree. If he does not give up, if he goes to his goal - says Vladimir Karyakin. - and if the goals are for the benefit of all mankind, that people can work wonders. So anyone making a small contribution to the common cause, becomes a hero." Answering the question why they have so few trips abroad, Yuri Karyakin said that the group is not a supporter of international promotional tours concept, "We do not believe that this is a mandatory thing, that will help for a success. First, if we perform in our own country, we give a full concert. But this is different from being able to go somewhere and sing one song, another preparation, a different behavior - every movement, every breath is fulfilled with the audience, plus the guys get energy boost from fans. And it is very important for preparing a high-quality performances in Baku". And trip abroad is great, but, according to Yuri Karyakin, it may be ineffective for the victory in the competition. "Well, we arrived, flashed once on screens - and who will notice that? This is unlikely to affect the vote - he said. - Time is being lost, the effect is almost zero. Because of that we are not particularly sought for these trips. It is necessary to reallocate the money for more important things. " However, on April 29th Litesound still want to go to Belgium, and May 4th - in Cyprus. "If suddenly Belgium fails, then there will be performance on April 29th in Moscow," - said the director. Also yesterday, the group has confirmed its participation at the Ukrainian party on the 7th of May in Kiev. Today, the group presented a new track - I Wish You Were Near Me, which can be heard online fan club of the band. Band also keeps on working on Belarus language version of "We're The Heroes" and according to Charter97, three lyrics made by Artur Komarovskiy, Irina Chernyavskaya and Irina Gordienko have been shortlisted. ������ ������ ���������� �� �����-����������������� �������� "We Are The Heroes", ������� ������������ �������������������� ��������� � Litesound brothers ��� ��������� ������������ �� ������������ ��������� ��������. ��� �������� � �����-������, �� �������� ���� ������� ���� ����������, ���� ���� ���� ����� ���������� ����������. �������������� �������� ������������ �� ��������� - ���� ������� ������� � ��������� ���������. ��� �� ��������� � �����������-�������������� �����. "�� ������ �� ���� �� ������� ����, ���� ������� �� ���������������, ����������� ��������� ��������, - �������� ������ ������ Litesound. - ���� ����-������ - �������� ����. �� �������, �� ������ ��������� ���������� ����� �����. ���������� "We Are The Heroes" � ���, ��� ������ �� ��� �����, � ���� �� ��� ����� � ���� � ����� ����, �� �������� ��, �������� �� ��� ���������. � ������ ���� � ����� �������� ������ ���". "�������� ��� ����� �� ������� ����������. ������ ����� ������ ����������. � ����� ����� ������� �������� ������, � ��� ����� ������� ����������. ����� ������ ����� ��������� ����� ����� � ������ �������, �������� �������, ����������� �����. ����� ��� ��� ������, ������. ����� � ����� �������� ������ ������������, ������� ����� ��������� � ���� �������� � ����� �������, ����� ��������� ����� ������� ���", ��������� Naviny.by �������� ������ ���� �������. ��������� ��������� �������� �������� ����� ������ ���������� ������������� ������� ���. ���������������� ������� � ������������ ��������� ���� ���������, ��� ��� �� �������� � ����� ��������� ������� � ����-����, ������ ��� � �������, ��� � � ������ �����. ��������� ������ ��� ������ ����������� � ����� ������. ����� �� ���������� ����� ��������� ��� ������������� �����������. ����������� ������ �������� ��� ������� ����������� �� ������������. ����� ������ �������� � ���, ��� ���������� �� ������ ��� ����������� ������ ������� ��������, ���������� ��� ������� ������ � ������ ������������� ������ (� ����� �������� ���� ��������� ���������� ������ ���������, ����� �������� ������). "����� ������� �� ����� �������, ��� ������ ������� � �����-�� ������� �����. ���� �� �� �������, ���� �� ���� � ����� ����, � ��������� �������� �������. � � ���� ���� ���������� �� ����� ����� ������������, �� ���� ����� ������� ������. ��� ������, ����� ���� ��������� ����� � ����� ����, ���������� ������"
������� �� ������, ������ ��� ���� ������� �� �������, ���� ������� �������, ��� ������ � �� ��������� ���������� �����-�����: ��� �� �������, ��� ��� ������������ ����, ������� ������� ���������. ��-������, ���� �� ��������� � ���� � ������, �� ���� ����������� �������. � ��� ���������� �� ����, ����� ������� ����-�� � ����� ���� �����, ������ ����������, ������ ��������� � ������ ��������, ������ ����� �������������� � �����, ���� ������ �������� �������������� ����� �� �����������. � ��� ����� ����� ��� ���������� ������������� ����������� � ����". ������� �� �� ����� � �������, ��, �� ������ ���� ��������, ��� ����� ���� �������������� ��� ������ � ��������. "�� ��������, ��������� ���� ��� � � ��� �������? ��� ���� �� �������� ���-�� �� �����������, � ������� ��. � ����� ��������, ������ ����� �������. ������ �� ����� � �� ���������� � ���� ��������. ����� ���������������� ������ �� ����� ������ ����". ������, 29 ������ Litesound ���-���� ����� �������� � �������, � 4 ��� � �� �����. "���� ����� � �������� �� ���������, �� 29 ������ ����� ����������� � ������", � ������ ��������. �����, ����� ������ ����������� ���� ������� �� ���������� ��������� 7�� ��� � �����. � ������� ������ ������������ ����� ���� - I Wish You Were Near Me, ������� ����� �������� �� ����� ���-����� ������. ����� ������������ ������ ��� ����������� ������� ����� "We Are The Heroes". �� ���������� ������97, ���������� �������� ������ ������, ���������� ������� �����������, ������ ���������� � ������ ���������. "For the first time in history of the OGAE Rest of the World vote, we have a country that has become winner of our poll for the second time - Iceland. It was winner of the first our vote ever, in 2007. We wish all the best to the duet Jonsi and Greta Salome, and of course we're looking forward to present them a special prize from their overseas fans during one of the press-conference in Baku. We're also happy that it was OGAE Rest of the World that helped Iceland to establish own official OGAE club last year, and it was Iceland that brought us our first victory at OGAE Second Chance contests with Nott by Yohanna, so seemingly our members feel strong ties with the most North-Western country of Europe", says Andy Mikheev on behalf of the club. "������� � ������� ����������� ���� ��������� ��� �� �������� ������, ������� ������ ��������� ����� ������ - ��������. ��� ��� ��������� �� ����� ������ ����� ����������� - � 2007 ����. �� ������ ����� ���������� ����� ����� � ����� ������ �, ������� ��, � ����������� ���� ����������� ������� �� ����������� ���� �� �� ���������� ����������� �� ����� ����� �� �����-����������� � ����. �� ����� ���� ����, ��� ������ ���� ��������� ��� ����� �������� � �������� ������������ ������������ ���� ����� � ������� ����, � ������ �������� �������� ��� ������ ������ �� �������� ���� ������ ���� � ������ Nott ������� - ������� ������� ��� � ����� ������ ���� ����� ����� � ����� ������-�������� ������� ������", ������� ������ ������ �� ���� �����. ���� ��������� ��� - ����������� ���-���� ����������� �����������, � ������� ������ ����� 300 ������ �� ���� �����������, ����� ����������. �������� ���� ���������� ���� � �������� �������� ����� ���������� ��������� ����� ���� ������ ����, ������ ����� 5000 �����������. 11/04 Kurt Calleja, Malta�s representative at the Eurovision Song Contest has just arrived in Istanbul, Turkey after a visit to Tbilisi, Georgia. Whilst in Istanbul, Kurt has a full schedule of events and promotional activities prepared which include a special interview today for the programme �Music Magazin� which will be broadcast on TRT Music Channel. Tomorrow night Kurt will visit one more time TRT Music Channel for a live music show hosted by popular singer Sevval Sam. Together with Kurt the programme will host Can Bonomo, the Turkish ambassador in the Eurovision in Baku. Both Kurt and Can have already met before in Baku. It is expected that the two Eurovision hopefuls will prepare some songs together as well as sing their entry song to the Eurovision. On Friday Kurt Calleja is expected to appear on the popular TV station TRT1 between 10.30-13.00 during the live morning show hosted by female Turkish star Gulben Ergen. 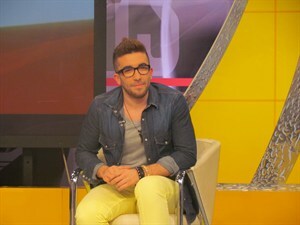 Kurt Calleja will be the special guest during the programme. Additionally, Kurt will give an exclusive interview to TRT News. Meanwhile, during his short promotional stay in Istambul, Kurt will be able to meet with the Consulate General of Malta in Istanbul, Mr Reuben Gauci. Kurt is expected to fly back to Malta on Friday, just in time to prepare himself to join the largest Eurovision Dance at St.George�s Square in Valletta on Saturday 14th April at 10.30am CET ���� �������, ������������� ������ �� �������� �����������, ������ ��� ������ � �������, ������ � ����������� ������ ����, ������� ����� ������� ������. � �������� ����� ���� ���������� ���������� ����������� � ����������, ������� �������� ������������� "Music Magazin", ������� ����� �������������� ����������� ������� ���. ������ ������� ���� ������� ���� ��������� ��� ��� � ������ ������� � �������, ������� ����� ���������� ������ ������ ���. ������ � ������ �� ��������� ����� �������������� � ������������� ������ �� ����������� ���� ������. ���� � ���� ��� ������������� � ����. ���������, ��� ��� ��������� ����������� ����� ������ ��������� �����, � ����� ���� ���������� ������. � ������� ���� ������� ������ ������� � �������� ��� ���1, ������� ����� �������� ���������� ������� �����, ����� 10.30 � 13.00 ����. ���� ������� ������ ����������� ������ �� �� ���������, � ����� ���� �������� ���������� ������� ���������� ���. �� ����� ������ ��������� ���������� � ������ ���� ����� ���������� � ����������� �������� ������ � �������� �������� �����. ���������, ��� ���� �������� �� ������ � �������, ��� ��� �������, ����� ������������� � �������� ������������� ��������, ������� ��������� �� ������� ��. ������� � ������� � ������� 14�� ������ � 10.30 ����. 11/04 Interview Here at ESCKAZ we meet a representative of Turkey Can Bonomo at our interviews section. Singer, who has just returned from the first Balkan leg of his promotional tour said: "I feel very honored and proud. We are working a lot lately so I can say that I am a little bit tired but at the same time it�s a very fun and satisfying process"
Invitation to Eurovision came as a surprise for him: "I was at a college giving a speech about music and art. It was 8 pm when they called me so it made us a bit suspicious. I thought that they are going to offer me a position as a host in a music program but when they told me that they wanted me to go to Eurovision I got shocked a little. Eurovision is a serious deal in Turkey. We watch it every year. I wasn�t a big follower till this year. The last time I watched it I was 16. I was with my family and they were pretty excited"
He describes his song "Love Me Back" as "a love song of a sailor poet for the sea and for his beloved". 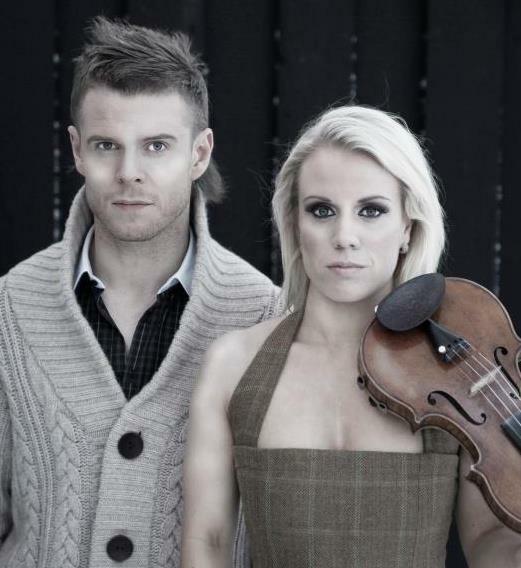 "I started composing it right after I�ve learned that I am chosen for Eurovision. I came up with the tune first and than it took me sometime to create good lyrics", says the singer. There are no plans to record Turkish version: "Although it has Turkish melodies and instruments in it, changing the lyrics would affect the narration and the texture of the song in a bad way. I decided to write in English so that more people could understand and enjoy the lyrics and the song". The final production of the song has been made in The FatlaB, Ali Riza Sahenk�s studio in Istanbul. Can and his producer, director and arranger Can Saban have also filmed the music video for the song: "We filmed it in three different locations: Istanbul University�s Chancery Building, and Pendik Marina and the Yerebatan Cistern. More than 80 actors took part in it and all the actors are good friends". Can adds that they will start working on his new album after Eurovision is over. The aim of Can at Eurovision is simple: "To present my country in the best way". As for promotional tour, singer notes that he would like to visit as much countries as they can, while he also will keep busy with local concerts. He was invited as guest to Azerbaijan national preselection and has bright memories from this: "Azerbaijan is a very hospitable and beautiful country. People are very excited, warm and nice. I know that they will do the best they can". Can hasn't revealed details of his act, just mentioning that "we are working on a choreography, which will support the song and the lyrics". He thinks that Eurovision should be treated as "Having fun and making the best of what you have is the way to go. If you have fun and enjoy what you are doing, people will get the same feeling too". He would like to hear all songs performed live before making statements on a personal favourite, but being asked about Russian entry noted that "I found them very sweet and sympathetic. I�m looking forward to meet them in person. I also admire Russian traditional music". 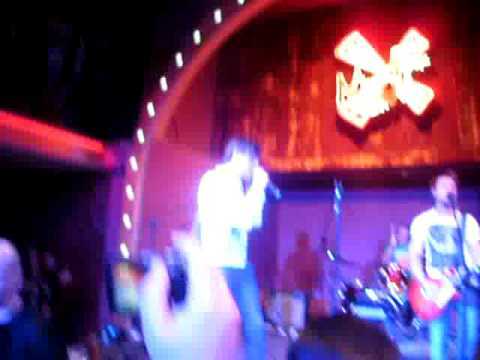 Surprisingly, Can has a favourite band in Russia - "One of the best bands ever, 5 Nizza, they are doing rusky reggae. I�m such a big fan. And I just loved Ruslana�s performance and song in the ESC". His usual music preferences include mostly rock and jazz "Sometimes all I listen is Polish Jazz and Ninja Tunes. Sometimes it�s rock and blues. The Kink, The Beatles and The Shins are my favourite bands". "Hey! Hey! 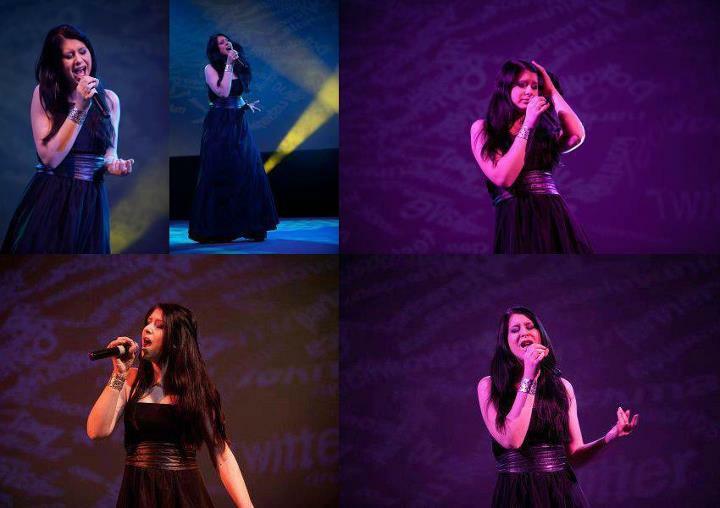 Hope you enjoy my performance in Baku! SHINE ON! ", ends singer his interview. As usual, you can read it in full on our Facebook page. ��������� �� ESCKAZ � ������ �������� ������������� ������ �� ����������� ����� ������. �����, ������ ��� ����������� �� ������� ����� ������ �����-���� �� ��������, �������: "� ����� ���� � �������. �� ����� ����� �������� � ��������� �����, ������� � ���� �������, ��� ������� �����, �� � �� �� ����� ��� ����� ������� �������, �� �������� � ������� ��������������". ����������� �� ����������� ����� ��� ���� ���������: "� ��� � ��������, ��� ����� ������ � ������ � ���������. ���� 8 ������ � ����� � ������� ������. � ��������� ��� � �����������. ��� ����������, ��� �������� ��� ����� ���������� ������� �������� � ����������� ���������, �� ����� � �����, ��� ��� ����� ��������� ���� �� ����������� - � ��� ��������� ���������. ����������� - ��� ����� ��������� ������� � ������. �� ������� ��� ������ ���. ������ ������ �������, ����� � ����� ���������� ������ �� ��� �� ����� ����. ��������� ��� � ������� ���, ����� ��� ���� 16 ���. � ��� � ���� ������ � ��� ����� ������������". ����� ��������� ���������� "Love Me Back" ��� "�������� ����� ������-�����, ����������� ���� � ����� ������������". "� ����� ������ �� ������ ����� ����, ��� �����, ��� ���� ������� �� �������. ������ ����� �������� �������, � ����� ��� ������������� ��������� �����, ����� ������� ��� ��� ������� �����", ����������� ����. ������ �������� �������� ������ ����� � ���� ���: "���� � ��� ���� �������� ������� � �����������, ����� ������ �� �������� �������� ������� � ����� � �����. � ����� ���������� ������ �� �� ����������, ����� ������ ����� ������ ������ � �������� ������������ �� ������ � ����� �����". ������������� ������ ���������� ���� �������� � ������ ��� ���� ������� FatlaB � ��������. ���� � ��� ��������, �������� � ������������ ���� ����� ����� ����������� ��������� �� �����: "�� ������� ��� � ���� ������ ������: ������ ���������� ������������� ������������, ������ � ������� � �������� ��������. ����� 80 ������� ������� ������� � ������� � �� ��� ����������� ���� � ������". ���� ����������, ��� ����� ����������� ��������� � ������ ������ ������ �������. ���� ����� �� ����������� �������: "����������� ���� ������ � ��������� �����". ��� �� �������� �����-����, �� ����� ��������, ��� ��� �������� �� �������� ���������� ��������� ���������� �����, �� � �� �� ����� �� ����� � �������� ����������. �����, �� ��� ��������� � �������� ����� �� ����� ���������������� ������ �� ����������� � �� ���� � ���� �������� ������ ��������� ������������: "����������� - ����� ������������� � �������� ������. ���� ����� ������, ����� � ���������. � ����, ��� ��� ������� ���, �� ��� ��� �������� (� ����������� ��������)". ���� ���� �� ���� �������� �������� ������ ������, ������� ����, ��� "�� �������� ��� ������������, ������� ����� ������������ ����� � �����". �� �������, ��� ����������� ���� ������������� ��� "����������� �������� ������������ � �������� �� ��� �� �������� - ��� ������ ����, �������� ���� ��������������. ���� �� ��� ��������� ������������ �� ����, ��� �� �������, �� ��� ������� ����� �������� � ������ �����". ������ ��� ������������ �� ����� ������ ���������, �� ����� �� ������� ������� ��� ����������� ������������ ������. �� �� ������ � ������������������ ������ ���� �������: "��� �������, ��� ��� ����� ����� � �����������. � � ����������� ��� ����������� ����������� � ���� ������. �����, ���� ����� ����������� ������� �������� ������". ����������, � ����� ���� � ������� ������ �� ������ - "��� ���� �� ������ ����� � �������, 5Nizza, ��� ������ � ������ ����� � ����, � ������� �� ���������. � ���, ������� ��, ����� ����������� ����������� � ����� ������� �� �����������". ������-��, � ��� ������� ����������� ������������ ������ � �������� ��� � ����: "������ � ������ Polish Jazz � Ninja Tunes. ������ - ��� ��� � ����. The Kink, The Beatles � The Shins - ��� ������� ������". "���! ���! �������, ��� ��� ���������� ��� ����������� � ����! SHINE ON! ", ��������� ����� ���� ��������. ��� ������, � ��� ������ ������� �� ������ ������������� �� ����� �������� � ��������. 11/04 Delivering News First! Eurovision 2012 representative of Ukraine - singer Gaitana, who is going to perform "Be my guest", invited all contestants of Eurovision 2012 to be her guests at the party. As singer has informed ESCKAZ earlier this week in an exclusive interview, in the 7th of May there�ll be a great party, devoted to Gaitana�s and her delegation�s departure for the contest. Gaitana invites all Eurovision 2012 contestants to this amazing event, so that they would have an opportunity to get to know Ukrainian beauty and hospitality. Number seven is really symbolic for Gaitana, because she�ll participate under this number in Baku in the international contest. �This party is going to be the brightest and the most memorable event this year. We prepare a lot of surprises in order to impress our guests and bring some happiness. 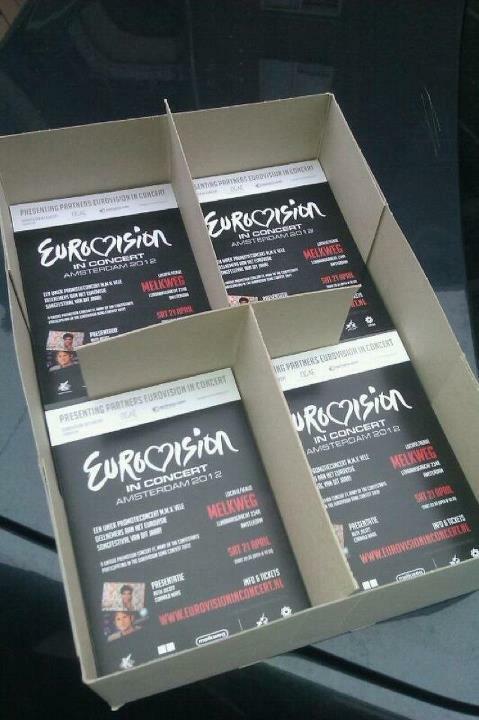 This party will gather artists, musicians, my friends and colleagues and, of course, Eurovision 2012 contestants. I promise this evening will be full of music, smiles, surprises and unforgettable moments�, - shares Gaitana. On the 7th of May Gaitana together with European contestants will have a tremendous tour through Kyiv. The singer will show the most beautiful spots of the city and familiarize her guests with Ukrainian culture, architecture, national cuisine. The list of all guests and the venue for the party are kept in a secret. Tickets will go on sale next week and will be priced 15-20 Euro (VIP 50-100 Euro). The Ukrainian promo-party is slowly getting to the regular status and joining Amsterdam and London promo parties. The main difference is that it is likely to be televized, as last year, and singers will also have more press opportunities, including the press-conference. Last year's event took place on the Independence Square and has gathered 6 Eurovision participants plus local guests. Also today, the team of the singer has finally announced that in Eurovision performance of Gaitana will take part three female vocalists, two dancers and there will be no stage props. ����������������� ����������� 2012 �� ������� � ������ �������, ������� � ��� ����� ���� ���������� ���� ������ ������������� ����� �Be my guest�, ���������� ���� ������������ ����������� 2012 � ���� �� ���������. ��� ��������� ����� � ������������ �������� ESCKAZ ������ - 7 ���, � ����� ��������� ����������� ���������, ����������� ������� ������� � � ��������� �� ����������� ������� � ����. ���������� � ����� ������� ������� ���������� ���� ���������� ����������� 2012 � ����� � ����, ����� ����������� ����� ������ � �������� � ���������������� �������. ����� �7� ��� �������� ����� ����������, ���� ������ ��� ���� ������� ������� ����� ��������� � ���� �� ������������� ��������. "��� ��������� ������ ����� ����� � �������������� �������� ����� ����. �� ������� ��������� ���������, ����� ������� ������� � ���������� ���� ����� ������. �� ���� ��������� ��������� ����� ����� �������� � �������, ���������, ����������� ����������� 2012, ��� ������ � �������. ������, � ���� ����� ����� ����� ������, ������, ��������� � ������������ �����������", - ������� �������. � ���� ����, 7 ��� ��� ����� ����� ����������� ������, ������� ����������� �� ����������� ��������, ������� ������� ���������� ��������� �� �����. ������ ������� ����� �������� ����� �������, ���������� � ���������, ������������, ������������ ������ � ������� ����������� ������. ������ ���� ������ � ����� ���������� ��������� ������� ���� ��������� � �����. ������ �������� � ������� �� ��������� ������, � �� ���� �������� 15-20 ���� (VIP 50-100 ����). ���������� �����-��������� ���������� �������� ���������� ������ � �������������� � ������������� � ����������. �������� ������� ������� � ���, ��� ��� ������ ����� ����� ��������������� � �����, ����� ��� � � ������� ����, � ����������� ������� ������ ������������ ��� ������� � �������, ������� �����-�����������. � ������� ���� ������� ������ �� ������� �������������, � ������ 6 ���������� ����������� � ������� ������. ����� ������� ������� ������, �������, �������� � ���, ��� � ����������� ������� �� ����������� ������ ������� ��� ���-����������, ��� �������, � �� ����� �� ����� ���������. 10/04 Marco de Camillis, well known Italian dancer and choreographer based in Portugal, will be responsible for staging of Portuguese entry in ESC 2012. The rehearsals will be taking place in the weeks preceeding to departure to Baku in Lisbon, however Marco de Camillis is not expected to travel to Baku himself. 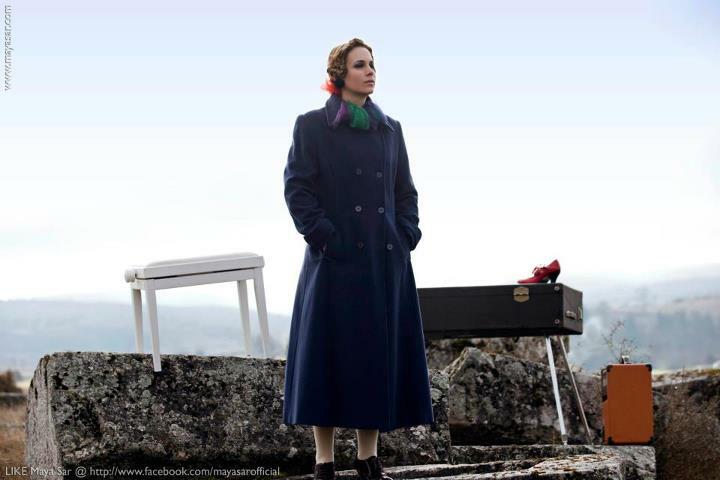 The presentation is expected to revolve around the theme of Fado, Intangible Heritage of Humanity. The backing vocals for Filipa Sousa have also been revealed being Carla Ribeiro, Joana Inacio, Filipe Fontenele, Pedro Coelho and Eduardo Marques. Meanwhile, ESCPortugal site also reports that commentator of the show on Portuguese TV will be Pedro Granger and spokesperson - Joana Teles. Besides stage acts and commentator the Portuguese delegation will also include producer Ramon Gallarza, stylist Catia Castel-Branco, cameraman and head of delegation Jose Poiares. Daily reports from Baku are expected to be aired on RTP starting May 14. ����� �� ��������, ��������� ����������� ������ � ���������, ������������ � ����������, ����� �������� �� ���������� ������ ���� ������ �� ����������� 2012. ��������� ������� �� �������, �������������� ������ � ���� � ���������, ������, � ��� ����������� �� �������� �� ����������. ���������, ��� ����� ����� ������������ �� ��������� ����, ������� ��������������� ��������. ���-����������� ������ ����� ������ ����� �������, ����� ������, ������ ���������, ����� ������ � ������� ������. � �� �� �����, ESCPortugal �������� � ���, ��� ������������� ��� �� ������������� �� ������ ����� �������, � ��������� - ����� �����. ������ �������� � ������������ � ��������� ���������� ������ �������� ����� ��������, ������� ����� �������-������, �������� � ����� ��������� ���� �������. ���������� ��������� �� ���� ����� ��������������� �� RTP ������� � 14�� ���. 10/04 Following Belarus and Russia, another contest for a creation of official remixes for Eurovision entry is launched. 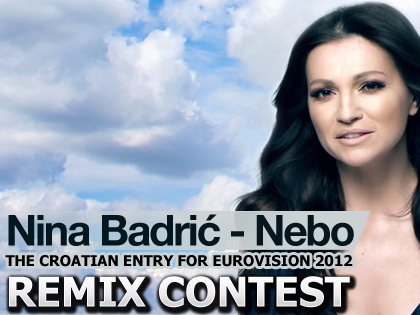 Aquarius Records releases a remix contest for the single "Nebo" by Nina Badric, Croatian representative at the Eurovision Song Contest 2012. The competition closes at midnight on May 10th 2012. Electronic music is preferred but any genres are allowed. Remix pack can be downloaded and remixes submitted at this page. ����� �� ��������� � �������, �������� ��������� ������� �� �������� ����������� �������� �� ����� �������� ����������� 2012. Aquarius Records ��������� ������� �������� �� ����� ���� ������ "����", ������� ������������ �������� �� �����������. ������� ���� ������ �������� - 10� ��� 2012. ������������ �������� ����������� ������, �� ����������� ��� �����. ������� ������-��� � ��������� ������� ������� ����� �� ���� ��������. 10/04 German entrant Roman Lob gave a rare interview to WZ-Newsline. 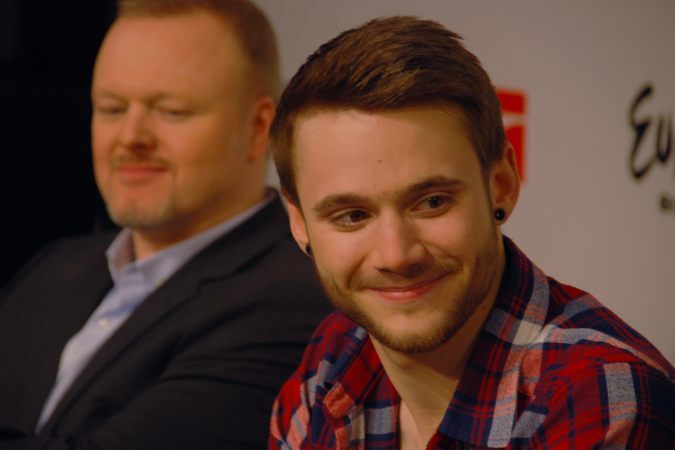 "I miss most of my colleagues from Trosifol company, I would really like to stand once again in the workshop, where I work as industrial mechanic", reveals the singer, adding that his colleagues fully support his Eurovision dream which he is chasing while taking time off the work. In Azerbaijan Roman will be joined by part of his family and few people from his company who won a draw for tickets. Roman also reveals that he would like to continue making music with his pop/rock band Rooftop Kingdom with which he has been singing for three years. In the past he was even doing heavy metal, but this step is now over. At the same time he tries to get the best experience of what he is now passing through. His most recent memories are from the "Echo" awards, and Roman feels really honoured to be part of it - "I need to cherish these moments as anything can very quickly come to an end", says the singer. Speaking about Eurovision Roman admits that he is super excited: "There is not much time left, the contest is coming super fast. I still have a lot of TV appearances planned prior to it - it is good that I can keep practicing singing "Standing Still" in front of public". Singer says that he considers Eurovision as a great trip, which brings together many nations, that have fun and make music. He hasn't been very interested in the contest in past, but has been following it closely in the recent years, when there appeared such singers as Max Mutzke or Lena Meyer-Landrut. Roman considers Lena as his role-model, as she has brought Eurovision to Germany - and Roman says it is his goal too, but at this moment he would like to keep calm, following Lena's easy approach, and wait until his song is released in other countries. "I am very interested in Azerbaijan, just because you do not get there so often. When I can come there again? And I've never heard in my life that someone would have said: "Well, now I'm flying to Azerbaijan for the summer holidays", says singer, admitting he had to look up in atlas location of the country while competeting for a Eurovision ticket into it. However, Roman feels that it is important to keep notice of the fact that Eurovision takes place in a country where human rights such as freedom of expression are regularly violated. "This is obviously a problem there with that. But I hope that with Eurovision in the country, with so many press there, other countries of Europe will be made aware of the situation in Azerbaijan. This will open many eyes and maybe it will lead to changes there. But I am primarily an artist, a musician who travels there. Other people should take care of politics"
Roman has managed to check most of Eurovision 2012 competitors: "There are really strong singers there for whom I have great respect. 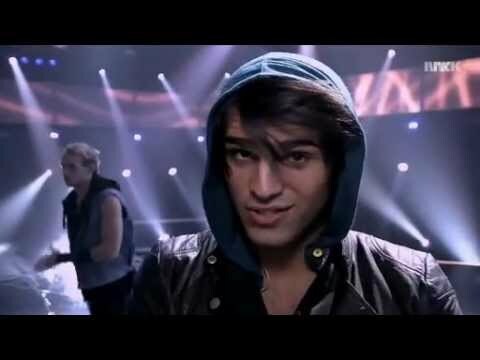 I think Norway is very good, Tooji is a very good singer with a great entry, it is my personal favourite. But in the end the audience will decide". As another strong competitor Roman sees entrants from Sweden and Turkey. ������������� �������� ����� ��� ��� ������ �������� WZ-Newsline. "� ������ �� ����� �������� �� �������� Trosifol, � ��� �� ��� ����� ������ ����� � ���� � ����, ��� � ������� ���������", ������� �����, ��������, ��� ��� ������� ��������� ������������ ��� ������� � �����������, ���� �������� ��� �������� �������� ���������� �� �������� ������. � ������������ � ������ �������������� ��������� ������ ��� �����, � ����� ������� �� ������, ������� �������� � ��������� �������. ����� ����� ������, ��� �� ����� �� ���������� ������ �� ����� ���-��� ������� Rooftop Kingdom, � ������� �� ���� ��� ��� ����. � ������� �� ���� ��������� ����-��������, �� ��� ������ ��� ���� ��� ���������. � �� �� ����� �� ����� �������� ������ �������� �� �����, ����� ��� �� �������� ������. ����� ������ ������������� ����������� �������� ��� ������� � ������ "Echo" � ����� ��� ������� ���, ��� �� ���� ��������� �� ��� - "���� ������������ ����� ���������, ��������� ��� ����� ������ ������� � �����", ������� �����������. ������ � �������� �����������, ����� �������� ��� �� ��������� � ����������: "�������� ������ ������� �������, ������� ������������ ����� ������. � ���� ����� ��� ������������� ��� ����� ��������������� - ��� �������, ��� � ���� ������������ ���������� "Standing Still" ����� ����������". ����� �������, ��� ������������� ����������� ��� ���������� �������, ������� ���������� ��������� �����, ������� ��������� � ������ ������. ����� �� �� �������� ������������� ���� ���������, �� ���� ���������� ������� �� ��� � ��������� ����, ����� �� ��� ��������� ������� ����� ����������� ��� ���� ������ ��� ���� �����-�������. ����� ������� ���� ����� �������, ��������� ��� �������� ����������� � �������� - ��� ����� ������� � ����� �����, ������ � ��������� ����� �� ������� ��� ������ ������ ���� - ���������� �� ����� ���������, � ���� ������� ����� ��� ����� ������ � ������ �������. "���� ����� ������������� �����������, ���� ���� �� ��� ����� ���������. ����� � ��� ����� �������� ����? � ������� � ����� �� ������, ����� �������� "� ������ � ��� � ����������� ��������� �� ���������", ������� �����, ���������, ��� ��������� � ������ ��������������� ���� ������ �������� � ������ �� ������� � ���. ������, ����� ������� ������ ��������, ��� ����������� �������� � ������, ��� ��������� ���������� ����� ��������, � ��������� ����� �� ������� ���������. "������� �� ��� � ���� ��������. �� � �������, ��� � ����������� ����������� � ���� ������, ��� ����� ����� ������, � ������ ������ ������ ������ ������������� � ��������� � ������������. ��� ������� ������ �����, �, ��������, �������� � ������������� ���������� � ���� ������. �� � ������ ����� ������, ��������. ��������� ������ ���������� ������". ����� ��� ��������� ������� ����� ������������ ����������� 2012: "���� ����� ������� �����������, � ������� � ��������� ������� ��������. ��� ����� �������� �������� - ����� ����� ������� �����, � �������� ������, �� - ��� ������ �������. �� � �����-������, ������, �������, ��������". ����� ���������� ����������� ����� ������� ���������� �� ������ � ������. 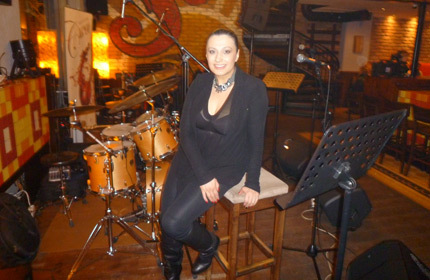 10/04 Sabina Babayeva will be special guest at the presentation of album of Belgian contestant Iris. Debut album "Seventeen" will be released on April 25th and it's presentation will be held at Coca Cola Visit Center in Wilrijk. Iris is the youngest ever contestant from Belgium after ESC winner Sandra Kim, thus the title of her album is quite appropriate "Seventeen". It will include of course her Eurovision entry "Would You" as well as national final song "Safety Net". In total it will contain 11 songs written by a team of songwriters and producers Roel de Ruijter, Gene Thomas and Wim Claes. In addition to ballads like "24/7" the album contain uptempo tunes like "I Know" and "My Lucky Day". Title track "17" seems to be a perfect soundtrack to any teen series, and "Gone" is a duet with another young singer Dean. "Recent months was a very exciting period for me. Now the song for Eurovision is finally chosen, I can start with what I love to do most of all. And that is singing and performing. My goal in Azerbaijan is to give the best of myself. Now, I try not to be distracted by anything. The only thing I want is to keep a good feeling about travel to Baku. I do not read newspapers. For several months I do not Google my name anymore. Yes, I have asked Tom Dice about how his Eurovision experience was. He recommended me that I just do my thing and enjoy it. And I certainly intend to do so. My ultimate ambition is to get to the finals. Then we'll see. The truth is that I can only win in Azerbaijan and have nothing to lose", says Iris. Notable special guest of the presentation of the album is Sabina Babayeva, who will be visiting Flanders with promotion. On the same day she is also set to appear in several programs of Belgian television. Fans can support Iris by donating funds for release of her album, already 48% of 46000 Euros of costs of album release have been covered by fans. ������ ������� ������ ����������� ������� ���������� ������� ����������������� ������� �� �������� ����������� 2012 �����. �� �������� ������ "Seventeen" ����� ������� 25�� ������ � ��� ����������� ������� � Coca Cola Visit Center � ���������. ����� - ����� ������� ������������ �� ������� ����� �������������� ����������� ������ ���, ������� � ��������� �� ������� ������ �������������� - "����������". � ���� ������ �� ���������� ����� "Would You" � ���������� � ������������� ������ "Safety Net". ����� � ��� ����� 11 �����, ���������� �������� ������� � ���������� ������ �� ��������, ���� ������� � ����� �������. � ���������� � �������� ��� "24/7" ������ �������� � �������������� ����� "I Know" � "My Lucky Day". ��������� ���� "17" ����� ����� �������� ������������ ������ ��� ������������� �������, � "Gone" �������� � ����� � ��� ����� ������� ������������ - �����. "��������� ������ ���� ����� ������������� �������� ��� ����. ������, ����� ����� ��� ����������� ������� �������, � ���� ������ ��, ��� � ����� ������ �����. �� ���� ���� � ���������. ��� ���� � ������������ - �������� ���� � ��������� �������. ������ � �������� �� ����������� �� �� ���. � ���� ��������� ������� ������� � ����� ������� � ����. � �� ����� ������. ��� ��������� ������� �� ����� ���� ���. ��, � ���������� ���� ����� � ���, ��� ������ ��� ������� �� �����������. � �� ����������� ��� ������ ������ ���� ���� � �������� ������������. ������ ���� � � ��������� ��������. ���� ������� �������� �������� ��������� � �����. � ��� ���������. ������ ����������� � ���, ��� � ���� ������ �������� � ������������, � ��� ������ ������", ������� �����. ����������� ������ ����������� ������� ������ ������������ �� ������������ ������ �������, ������� ������� � ��� ��� �������� � ����������. � ���� �� ���� ��� ����� ������ ������� � ���������� ���������� ������������ �����������. ������ ����� ���������� ����� ����������� �������� �� ����� �� �������, ��� 48% �� ��� ����� ��������� � 46 ����� ���� ���� ������� � ������� ������������� �� �����������. 10/04 Interview Our next guest at ESCKAZ has been representative of Croatia Nina Badric. She has assured that all preparations are going on schedule and have not been affected by the vocal cords surgery she had recently. "My preparations campaign? Hah, sounds like something political. Well, anyway my campaign will be me, my team that is with me on stage. I will be what I am. Uncomplicated and spontaneous", says Nina. "I was trilled when I was invited to represent Croatia in Eurovision Song Contest. I am very proud and it is a big challenge for me and definitely a new step and inspiration in my career. 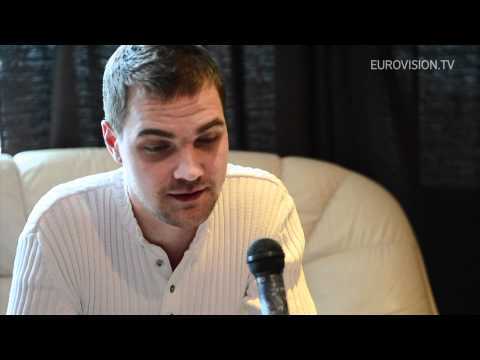 ESC is definitely one of the biggest music events in the world", explains Croatian singer. Nina has already taken part in several Croatian preselections before, but she admits that "Preselections are usually shows with great viewing rates, so I used them first of all to promote new songs from my albums. For couple of times I was not well placed. But I learned in my career that sometimes it's not so bad to be among the last of the competition too. Anyway audience will find the song that they like". Her best placement was in 2003 preselection, when she came 2nd. Nina describes her song "Nebo" as "a very emotional and also strong song, especially for me". Nebo has been the title track of the recent album of Nina, but for Eurovision a new version of it has been created by producer Ante Gelo. "I had a vision of how song should sound and that the way it is now. The song grow from the beginning and built in force by the end. 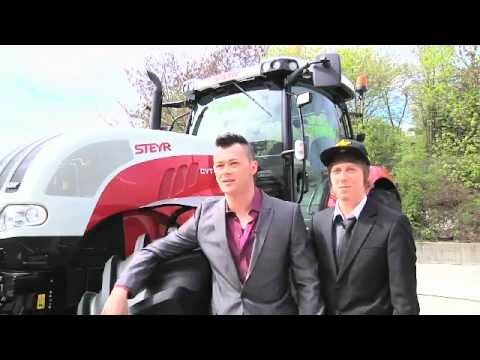 I think we managed to get that impression". She adds that singing in Croatian was the decision of HRT broadcaster. The remixes pack for her entry is already out, but she still plans to record it in a couple of languages more. She would also go on a visit to some European countries for a promotion on local TV shows, but she believes that "still the most important is as is an immediate effect of the stage performance and the impression you make in those 3 minutes". As per it, Nina has confirmed that she will have three backing vocalists and two dancers on stage: "The act will be a little art", says Nina. She thinks that most important at Eurovision is luck and will of God. But in general "the rule is that there are no rules at ESC", she says. "It will be great if we enter the finals, it will be a big success for my small country", says Nina. From the other entries her personal favourite is Loreen from Sweden and she also loves Russian entry: "The Babushkas have become a worldwide hit! I think the song is like those songs that have potential to win at Eurovision Song Contest. Babuskas are delightful and I can not wait to hear them and see on stage". From Russian artists she also knows Alla Pugachova: "She is legendary and is absolutely respected by everyone, loved and remembered. Then from younger ones I remember Dima Bilan who won Eurovision Song Contest". "I wish you all the best in your life! 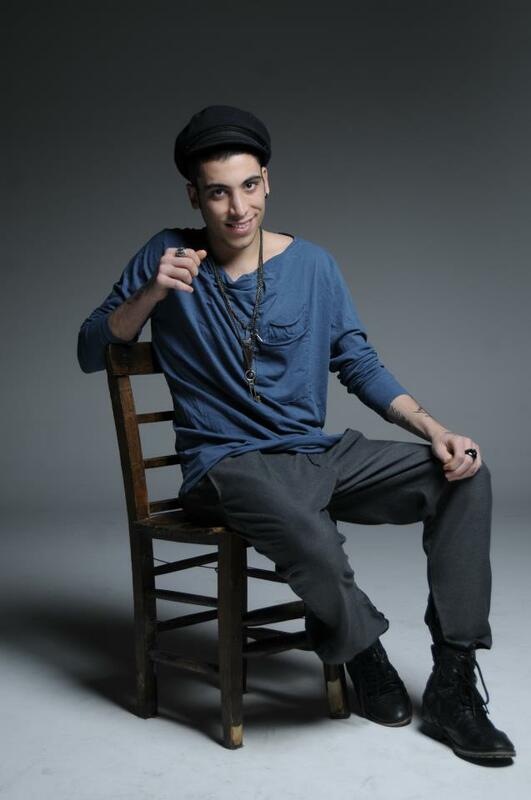 Keep fingers crossed for me in Eurovision Song contest in Baku and grab youre phone and give you vote for me! ", appealed Nina in the end of her interview. As usual, you can check the full interview on our Facebook page. ��������� ������� ESCKAZ ���������� ����������������� �������� ���� ������. ������ �������� ���, ��� ��� �� ���������� �������� �� ����������, � �� ��� ����� �� ���������� �������� �� ��������� �������, ������� ������� ��� ���������. "��� �������� �� ����������? ��, ������ ��� ����� � �������. ��, � �����, ��� �������� ����� �������� �� ���� � �������, ������� ����� �� ���� �� �����. � ���� ����� �����. �� �������� � ����� ��� ���������", ������� ����. "� ���� ����� ��������, ����� ���� ���������� ����������� �������� �� �����������. � ����� ������� � ��� ������� ����� ��� ����, � ����������� ����� ��� � ����������� � ���� �������. ����������� - ����������� ���� �� ���������� ����������� ������� � ����", ������� ���������� ������. ���� ��� ��������� ������� � ���� ���������� ������� �����, �� ��� ��������: "��������� ������ � ��� ��� �������� ����������� �������, �� ������ ����� � ������������ �� ��� ��������� ����� ����� �� ����� ��������. ��������� ��� � �������� ������ �����. �� �� ���������� ����� ������� � ������, ��� �� ��� �� � ����� ���� ����� ���������. ��� ����� ������� ������ �� �����, ������� �� ����������". �� ������ ������ �� ������ ���� 2� � 2003 ����. ���� ��������� ���� ����� ����, ��� "����� ������������� � ������� �����, �������� ��� ����". ���� - ��� ��������� ���� � ���������� ������� ����, �� ��� ����������� ���������� ���� ���� ���� ������� ��� ����� ������. "� ���� ���� ��������� ����, ��� ����� ������ ������� � ������ ��� � �����. ����� ��������� � ������ ������ � ����������� � �����. � �����, ��� �� ������ ������� ���������� �����������". ��� ���������, ��� ���������� ����� �� ���������� ���� �������� ���������� ���. ��� ����� ������� �������� �� �����, �� ������ ��� ��� ��������� �������� �� �� ���������� ������ ������. ��� ����� ������ �� �������� � ����� ��������� ����� ������ ��� ����������� �� �� �������, �� �������, ���: "��� ����� �������� ����� ����������� ������ �� ������������ �����������, �� ����������� ������� �� ������� �������� �� ��� ��� ������". ��� �� �������� �����������, �� ���� �����������, ��� �� ����� � ��� ����� ��� ���-��������� � ��� �������. "����� ����� ������ ���������� ���������", ������� ����. ������ �������, ��� ����� ������ �� �������� �������� ����� � ������� �������. �� � �����, �� ��� ��������� "������� � ���, ��� �� ����������� �� ���������� ������� ������", ������� ���. "���� �� �������, ���� �� �� ����� � �����, ��� ����� ������� ������� ��� ���� ��������� ������", �������� ����. �� ������ ������������ �� ������ ����� ����������� ����� �� ������ � ����������� �������: "������� ��� ����� ��������� �����! � �����, ��� � ���� ����� ���� ��������� �� ������ �� �����������. ������� ������ ������������� � � � ����������� ��� ����������� �������� �� � ������� �� �����". �� ������ ���������� �������� ��� ����� ���� ��������: "��� - �������, ������� �������, ����� � ������ ��������� ���. �� ������� � ����� ���� ������, ������� �������� �� �����������". "� ����� ��� ����� ���������� � �����. ������� �� ���� �� ����������� � ���� � ��������� ������ ������ �������� � ������������ �� ����", �������� ���� � ����� ��������. ��� ������, �� ������ ������������ � ������ ������� �������� (�� ����������) �� ����� �������� � ��������. 10/04 People of Kazakhstan are invited to the Eurovision Song Contest: The national mobile communications operator Kcell has announced a competition, which will result in two of Kazakhstan's active bloggers (with the experience of at least one year, with a regularly updated and commented blog) winning a trip to the Eurovision Song Contest 2012 in Baku. In the competition the bloggers need to record a video with their performances of any song from Eurovision history, post it on Youtube and on the Kcell group in Facebook by 15th of April, and then to collect the maximum number of likes in the group and retweets with hashtag "#Kcell_Eurovision-2012" before the 18th of April. 20% of entries with the most likes will get shortlisted for the competition, and a jury consisting of managers and employees of Kcell will choose two best works. In the prize are included travel, accommodation (May 22-26), accreditation, as well as tickets for the Eurovision Song Contest. For several years, channel "El Arna" is legally broadcasting Eurovision Song Contest in Kazakhstan, however, to date, the Kazakh broadcasters can not be admitted to the Active membership in the European Broadcasting Union. Such membership will become possible only in case of accession of the Republic of Kazakhstan in the Council of Europe in future. ������ ���������� ������������ �� �����������: ������������ �������� ��������� ����� Kcell ������� �������, �� ������ �������� ��� ������������� �������� �������� (�� ������ �� ������ ����, � ��������� ����������� � �������������� ������) ������ �������� ������� �� ����������� 2012 � ����. � ������� �������� ������ ������������� �������� ����� �� ����� ����������� ����� ����� �����������, ���������� ��� �� ��������� Youtube � � ������ Kcell �� Facebook �� 15�� ������ � ������� ������������ ���������� ������ � ������ � �������� � �������� "#Kcell_Eurovision-2012" �� 18�� ������. 20% ����� � ���������� ����������� ������ ������� � ����-���� ��������, � ����, ��������� �� ������������� � ����������� �������� Kcell ������� ��� ������ ������. � ���� ������ �������, ���������� (22-26 ���), ������������, � ����� ������ �� ������� �����������. ��� ��������� ��� ��������� "E� ����" �������� ������������ ���������� �������� ����������� � ����������, ������, �� ����������� ����, ������������� �������� �� ����� ���� �������� �� �������� � ����������� ����������� �����. �������� �������� ������ ��������� ������ � ������ ���������� ���������� ��������� � ����� ������. 10/04 Delivering News First! 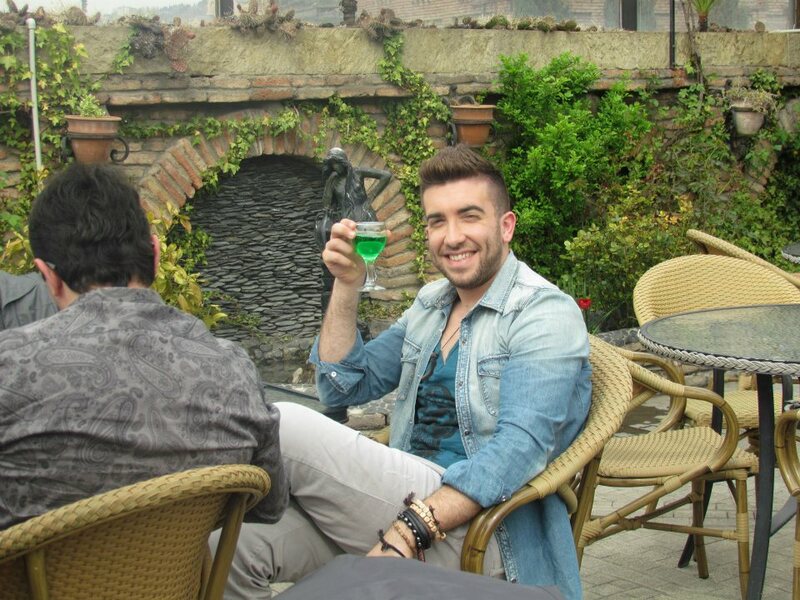 Kurt Calleja � representative of Malta at Eurovision Song Contest 2012 has yesterday arrived in Georgia within the promotional tour. 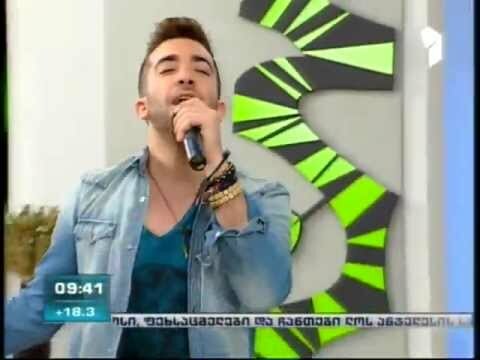 He was invited in TV programs of 1st channel of Georgian Public Broadcaster: Auditory and Our Morning. 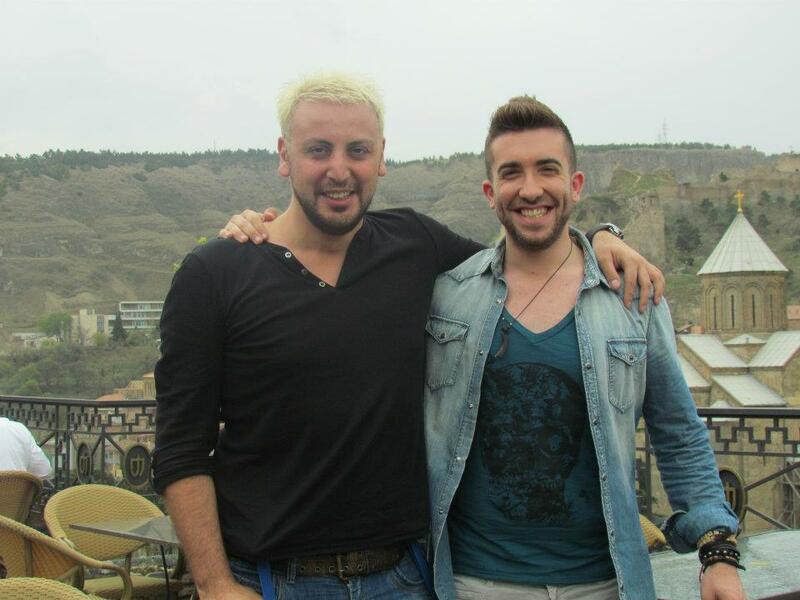 Kurt will also meet with Anry Jokhadze - Georgian representative at Eurovision 2012. Georgia is the 4th country for Kurt promotion - he has already visited Azerbaijan, Bulgaria and Lithuania. ���� ������� - ������������� ������ �� �������� ����������� 2012 ������ ����� � ������ � �����-�����. �� ��� ��������� �� ��������� �������� 1�� ������ ����������� ������������� �����������: Auditory � Our Morning. ���� ����� ���������� � �������������� ������ �� �������� - ���� ��������. ������ - 4� ������ � ������ �����-���� ����� - �� ��� ������� �����������, �������� � �����. 10/04 Preview shows are on air accross the Europe. As usual, prior to the contest, some of the countries are broadcasting preview videos to give viewers a chance to get acquainted with the Eurovision 2012 participants. We've already reported that preview shows in Finland and Sweden will have a judging panel to vote on the entries. 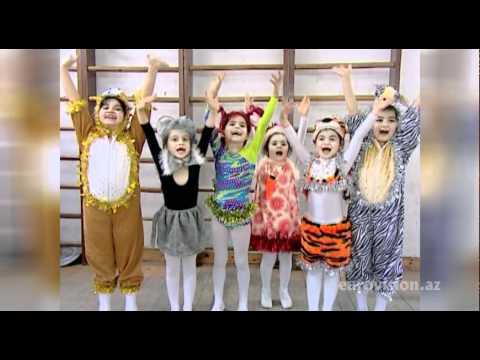 Recently, Georgian and Israeli broadcasters also have started airing the contest entries and their preview shows are available to watch online: Georgia (1), Israel (1, 2, 3). Israel also broadcasted Countdown - a program about preparations of Izabo for the contest (1) as well as Good Night Europe - with best moments from ESC history (1) � ����� ����������� ����������� �������� ������-��� ����������� 2012. ��� ������, ����� ���������, ��������� ������ ����������� ������-����� ���� ������������ ����������� ��� ����, ����� ���� �������� ����������� ������� ������������� � ������������ �������. ��� �� ��� �������� - ��� � ��������� � ������ ������� � ������������ ���������. 09/04 Delivering News First! On 30th of March it was revealed that due to scheduling conflict Ivi Adamou will not be able to appear at the Eurovision in Concert show in Amsterdam - today the replacement act has been named - Portuguese Filipa Sousa. Despite the current six bookmakers' favourites Sweden, Russia, Italy, Denmark, UK and Serbia are missing the show - the "Eurovision In Concert" still is the Ultimate Eurovision Promo Event with more than half of ESC 2012 acts appearing in the build-up for the contest in May. 30�� ����� ���� ��������� � ���, ��� ��-�� ������ ������� ��� ����� �� ������ ������� ������� � ��� Eurovision In Concert � ����������, � ������� ����� ��������, ��� �� ��� �� ������� ����������������� ���������� ������ �����. ����� �������, ������ ������ �� 24 �����, ������� ����� ������������ �� ��� 21�� ������ ���: �������, ������, �����������, �����, ������, �������, �������, �������, ����������, �������, �������, ������, ���������, ��������, ��������, �������, ������, ������, ����������, ���������, �������, ���������, ��������, ��� ������. �������� �� ��, ��� ����� ��������� ���������� - ������, ������, ������, �����, �������������� � ������ ��������� ��� - Eurovision In Concert ��� ����� �������� ���������� �����-������������, �� ������� � ������ ����� ���������� � �������� �������� �������� ����� �������� ���������� ����������� 2012. "Preparations are going very emotionally, happy, with a lot of excitement, both for the director, who is working on a staging, and seamstresses who are working on costumes, and the team that prepares stage props, and for me, as we like to have a very responsible approach to what we're doing. It all should be done so that in just three minutes, everyone understood who I am, what is the idea that I came with, what is the message of my heart that I'm bringing to Eurovision Song Contest. And my idea is very simple - to make the world become a better, kinder, that all people were smiling more, more often were in a good mood. When God gives a talent - I think we should use it only for peace of the world, for the benefit of children. 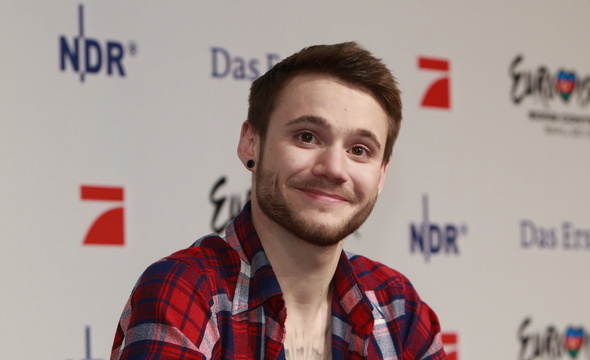 I do not want to surprise anyone at Eurovision, I just want to give a few minutes of a good mood, "said the singer. As for the stage performance: "The stage team is 80 percent defined. There are always some changes that I still want to try. I think that in a week and a half we will begin the active stage rehearsals.". When asked on what Gaitana would like to put an emphasis in her presentation, she replied: "At Universal holiday, on the joy. I want to sing this song so that everyone wanted to come to visit us, meet Ukraine." "Before that I was often offered to take part in the Eurovision Song Contest, but I refused because I did not want to go just with a song about love, about anything - there should be a song with a unifying idea. And now such song has appeared." Gaitana has received a demo version of the song just in the e-mail from it's authors - the Kiwi Project, and it was intended for performance at the European Football Championship. "I realized that this is the song I was waiting for a long time, it has everything - beautiful grand intro, ethnics, Ukrainian sounds, beat and dance, and it's energy, it just opens the doors. And so I quickly wrote the lyrics for it. And Eurovision - this is a great place to show this song to the whole Europe and invite people to come here to visit our beautiful country"
With regards to her suit for Eurovision singer said "I still can't say what kind of dress I will wear, but it's not about dress and a show, it is singing from all my heart, to sing the song as gospel, as it is kind song with all the magic inside, I really wish all people of Europe love and happiness, just let's live our life happy together". She added that the only thing certain today is that "my main decoration will be my flower head garland, which gives me the strength, joy, and I think that with it I bloom like a flower myself. A dress - I want it first of all to be easy, festive - that it does not hurt the performance, there was nothing unnecessary. " "I'm representing Ukraine, and for Ukraine it is very important to be a winner. I want to win, first of all for my country as I want people come here and get to know Ukraine better", explains Gaitana. As per entries of other countries she says: "I like Russian Babushkas. My grandmother also likes to sing and she plays accordion as well. I would really like to see them performing on stage. Georgian entrant Anri became my first Eurovision friend, we've met last week. He is good guy , with great voice and we want to do a duet song together. Again, my granny also loves Georgia and she always speaks about this beautiful country ". "I spoke with Anri and other people with Eurovision experience and they said the promotional tour are not that important as some might thing. The most important is to have a music video and to do well on rehearsals, and of course the show itself". Gaitana will go to Amsterdam and London promo-parties: "I would really like to go everywhere, would like to visit all countries of Eurovision". And on 7th of May there will be a special see-off party in Kyiv. The music video for the song "Be My Guest" will be released at the end of April, it will be shooting for three days in Kiev. "It will be funny video, with a lot of positive vibrations". "���������� �������� ����� ������������, ��������, ����� ��������, � � ���������, ������� ������� �����; � � ���� - ������� ���������; � � �������, ������� ������� ����������, � � ����, ������� ����� ������������ ������� � ����. ���� ���� ������� ���, ����� �� ��� ������ ��� ������, ��� �, � ����� �����, � ����� ��������� ������ � �������� �� �����������. � ���� ��� ����� ������� - ������� ���, ����� ��� ���������� �����, ������, ����� � ����� ���� ������ ������, ������ �������� ����������. ����� ��� ���� ������ - � ������, ��� ���� ��� ������������ ������ �� ����� ����, �� ����� �����. � �� ���� ������ �������� �� �����������, � ������ ���� �������� ��������� ����� �������� ����������", ���������� ������. ��� �� �������� ������������ �����������: "������� ������ ���������� ��������� �� 80. ������ ���� �����-�� ���������, ������� ������� �����������. �����, ����� ������� ������ ��� �������� ��������������� ��� ����������� ���������". �� ������, �� ��� ������� �� ������ ������� ������ � ����� ������, ��� ��������: "�� ���������� ���������, �� �������. � ���� ����� ��� ����� ���, ����� ��� �������� �������� � ��� � �����, ������������� � ��������". "�� ����� ��� ����� ���������� ������� ������� � �����������, �� � ������������, ������ ��� �� ������ ����� ������ � ������ ��� ������, � ��� ���� - ������ ���� ����� � ������������ �����. � ������ ��� ����� ���������". ������� �������� ����-������ ����� ������ � ������ �� ������� Kiwi Project, � ��������������� ��� ��� ���������� � ������ ���������� ������. "� ������, ��� ��� ������ �� �����, ������� � ����� ���, � ��� ���� ��� - ���������� ������������� ����������, ������, ���������� �����, ��� � ����, ���� ���������, � �� ���������� ��� ������ ����������� �����. � ������� � ����� ������ �������� ��� ��� �����. � ����������� - ��� ����� ������ �������� ���������� � ��� ������". �� ������ ������ ������� ��� ����������� ������ ��������: "� ���� �� ���� �������, ����� ����� �� ��� ������, ������ ��� ����� �� ����� ���� �� ������ � �� ��� - � ���� �� ����� ������, ����� ����� ��� ������, ������ ��� ��� ������ ����� � ����������� ������, � ������������� ����� ����� ���� ������ ����� � �������, ����� �� ��� ��������� ���� ������". ������� ���������, ��� ������������, ��� �� ������� �������� ����� - ��� ��, ��� "���� ������� ���������� ����� ��� �����, ������� ������� ��� ����, �������, � ��� �������, ��� � ��� � � ���� ��������� ��� ������. � ������ - � ����, ����� ��� ���� ������, �����������, ������������� - ����� ��� �� ������, �� ���� ������ �������". "� ����������� ������� � ��� ������� ����� ������ ���� �����������. � ���� ��������, ������ ����� ���� ����� ������, � ����, ����� ���� �������� ���� � ������ ������� �����", ��������� �������. ��� �� �������� ����� �� ������ �����, �� ��� ��������: "��� �������� ������� �������. ��� ������� ���� ����� ���� � ������ �� �����. � � ����������� ��� ����������� ������� �� ����������� �� �����. ������������� ������ ���� ���� ���� ������ ������ �� �����������, �� ����������� �� ������� ������, �� �������� ������, � ����������� �������, � �� ����������� ������� � ��� ������ ����. � �����, ���� ������� ����� �������� ������, ��� ��������� ������� � ���, ��� ������� ��� ������". "� �������� � ���� � ������� �������� � ����������� ������, � ����������� �� ��� ��������, ��� �����-���� �� ��� �����, ��� ����� ����������. ����� ������ �������� �������� ���������, �������� ���� �� ����������, �, ������� ��, �� ����� �����������". ������, ������� ������� �����-��������� � ���������� � �������. "������, ������� ��, � �� ������ �������� ��� ������ �����������". � 7�� ��� � ����� ��������� ����������� ���������-������� ������ �� �����������. ��������� �� ����� "Be My Guest" ������ � ����� ������, ��� ������ ������� � ������� ���� ���� � �����. "��� ����� �������� �����, � ����������� ��������". ������ ����� �����������, � ���������� ������, ������� ��������� ������ �������, ������������ ���������� ��������, � ����� ����� - "������������, ����������, ���������, � ������ �������". � ���� � ��������� ������ ������� - ��������� ����� ���� �� �������������� ����� "�������-������", ������� ����� ����� ������ � ����� �������� ������� � ������� ������� �������������. 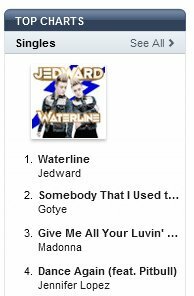 09/04 Irish entry "Waterline" by Jedward has been officially released internationally today, and currently is available as official download on most international sections of iTunes with Germany and Austria being added on 13th of April. You can find download links here. 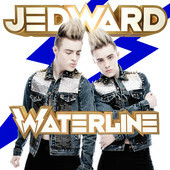 Currently, Waterline is at #1 at Irish and Estonian, #14 at Swedish, #18 at Latvian and #56 at Finnish iTunes chart. 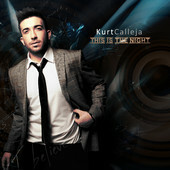 Another record getting an iTunes release recently is "This Is The Night" by Maltese Kurt Calleja. There are three different versions released so far. These include the standard version, the Promostella Club Remix which lasts 5.03 minutes and the Instrumental/Karaoke version. The song has immediately topped Maltese iTunes chart. Unfortunately, music portals iTunes, Amazon and Spotify are not available in CIS countries. ���������� ����� "Waterline" ������� ���� ���������� �������� ���������, � � ��������� ����� �������� �� ����������� �� ������������� ������ ������� iTunes. ����� � �������� � ������� ������������ �� 13� ������. ����� ������ �� ����������� ����� �����. � ��������� �����, Waterline �������� 1� ����� � ���������� � ���������, 14� � ��������, 18 � ���������� � 56 ����� � ������� iTunes ������. ��� ���� ������, ������� �������� �� iTunes - "This Is The Night" ����� �������. ����� �������� ��� ������ ����� - ����������� ������, Promostella Club Remix ������ 5.03 � ����������������/������� ������ �����. ����� ���������� ���������� ����������� ���� iTunes. � ���������, ������� iTunes, Amazon � Spotify �� �������� ������������� �� ����� ���. 09/04 Delivering News First! 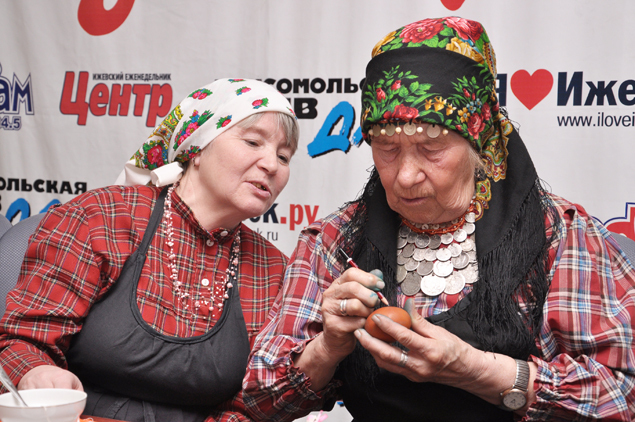 Today, on April 9, in the press center of the media group "Center", "Buranovskiye Babushki" have shared secrets and traditions of the Easter celebrations and gave a master class on coloring eggs. As usual, the event was attended by the newspapers "Center" and "KP Izhevsk." All Babushkas are believers. Therefore, the final days before Easter are the most responsible for them. They even asked to give them a little rest time and starting from Maundy Thursday - April 12, not to appoint any meetings with journalists, whose interest is not waning. "There are still a lot of things to do: the stove should whiten, ceiling, windows cleaned, the bed - pillows, blankets, mattresses - shaken up so that that all ailments are gone," - the singers list their to-do things. �������, 9 ������, � �����-������ ����������� "�����" "����������� �������" ���������� ��������� � ���������� ������� ����� � ���� ������-����� �� ��������� ���. ��� ������, �� ����������� �������������� ������ "�����" � "�� ������". ��� ������������ ������� ��������. ������� ��������� ��� ����� ������ ��� ��� ����� �������������. ��� ���� ��������� ���� �� ��������� ��������� �, ������� � ������� �������� � 12 ������, �� ��������� ������� ������ � ������������, ������� ������� �� ����������. "��� ��� ����� �����: ����� ���� ��������, �������, ���� ������, ������� � �������, ������, ������� - ����������, ����� ��� ����� ����", - ����������� ������ ��� ��������. 09/04 Delivering News First! Swedish entrant Loreen is happy to work with the Finns because they are straightforward and very loyal, said the singer in an interview to Finnish broadcaster YLE: "I like people who are not blunt, not have a lot of frills and fuss. To me these are characters of Finns. The Finns that I met in my life were very clear, direct and hardworking", says Loreen, referring to the clothing designer Tommy Granfors and choreographer Ambra Succi. About herself Loreen says she has a darker and deeper side. The first impression people often get is that she's frisky and happy. She is often unvarnished, but spends a lot to have her hair banged. Her hair is partly her own, but she also has extensions in it. In a short time, Loreen become something of a gay icon. "It's a bit of a cliche, but I always say that love is where you find it. If I am a gay icon - great, but maybe I'm more a human icon, we are all one, power to the people. I'm annoyed by people who do not accept or respect others' choices", says Loreen. 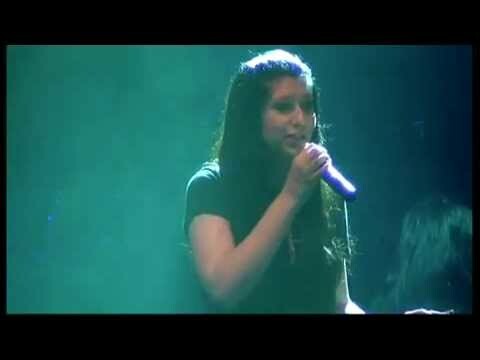 Last year, Loreen sang "My heart is refusing me" and made it to Second Chance. This year, the singer decided to enter the contest at the last minute. She says she had doubts over the element of competition. "We all have our own expressions and there is no right or wrong in music, so it feels wrong to stand there and be judged, it goes against my principles. But when I weighed it I found that I loved the song and I knew I could contribute something good that can affect humans. But I was thinking till the very end. I take my time before I decide what I want to do and over analyze sometimes. Before the Eurovision Song Contest in Baku Loreen must start some physical training. Her dance presentation requires a lot of strength and good condition. If you breathe in the wrong place - the rest of the song is ruined. Loreen says that it could be that she and the choreographer add something to the dance if they find something interesting, but the essence will remain the same. Loreen would not tell much about the performance, but says that the clothes will probably be kept green. The green color means harmony, and she wants the presentation to be down to earth. She also has no expectations for the place. "It's better that way. I do not like the aftertaste if things do not go as expected. I do not know how I would react if I won. Probably I would be paralyzed, the joy would come a few hours later". ����������������� ������ ����� ��������� �������� � �������, ������ ��� ��� ������ � ����� ��������, ������� ������ � �������� ������� ������������ YLE: "� ����� �������� � ������, ������� �� ����, � ������� ��� ��������� � �����. ��� ���� - ��� �������������� ������. �� �����, � �������� � ����������� � ����� ���� ����� ������, ������� � �������������", ������� �����, ���� � ���� ��������� �� ������ ����� ��������� � ���������� ����� �����. � ���� ����� �������, ��� � ��� ���� ����� ������ � �������� �������. ������ �����������, ������� ��� ���������� �� ����� - ��� ��, ��� ��� ������� � ����������. ��� ����� ������� ��� �������, �� ������ ����� �� ������������ �����. �� ������ � �������� �����������, �� ���� � ���������� �����. �� �������� ����� ����� ����� ���-������. "��� ������� �����, �� � ������ ������, ��� ������ ��� - ��� �� �� ��������. ���� ���� ������� ���-������, ���������, �� ����� ���� � ������ ������ ������������ �����, ������ ��� �� ��� �����, ���� � �����. ���� ���������� ����, ������� �� ��������� � �� ������� ����� ������", ������� �����. � ������� ���� ������ ��������� �� ������ ����� "My Heart Is Refusing Me" � ����� �� ������ ����. � ���� ���� ��� �� ���������� �����������, ����� �� �� ��������� ������� � ��������. ������ ����� ��� ����������� ��-�� �������� ���������������� � ���. "� ��� � ���� ���� �������������, � � ������ �� ����� ���� ������ ����������� ��� �������������. ������� ��� ������ ��������� ������ ���, � ����� ��� ���� ����� ���������, ��� ������ ���� ���������. ��, ����� � ��� ��������, � ������, ��� ��� ����� �������� ��� �����, � ��� � �� ������� � ���� ������ ������� �����, ������� �������� �� ����� �����. �� ������ � �� ����������. � ����� ������ ������� ����� ����� ������� ���������, ������ ���� ��������� ��������������". ����� ������������ � ���� ����� ��������� ������ ���� ���������� ����������. �� ������������ ����� ������� ����� ���� � �������� ����������� ���������. ���� �� ������� �� � ��� ����� - ����� ���������. ����� �������, ��� ��� � ��������� ��� ����� ���-�� �������� � �����, ���� ������ ���-�� ����������, �� ��� ���� ��������� �������. ����� �������� ���������� ������ ������ �����������, �� ������� � ���, ��� ������, ��������, ��������� �������. ������� ���� �������� ��������, � ��� �����, ����� ����������� ���������� ������������. � ��� ����� ��� ������� �������� ���� �� ��������: "��� �����. �� �����, ����� ���� �� ���, ��� ��������������. ���� � ������ ������, �� ���� �� ����, ��� ���� �����������. ��������, ���� ��� ����������, � ������� ������ ������ ��������� ����� ������". 09/04 Delivering News First! Serbian Eurovision representative Zeljko Joksimovic participated among other respected local celebrities in charity show "Teleton" aiming to help with construction of the center for children with disabilities. Viewers of the two-hour program of RTS have sent a record number of SMS and did calls to the guests in the studio of Radio-Television Serbia. Zeljko Joksimovic: "I am pleased that tonight we are all were united around the humanitarian idea and it is great that many public figures were significant part of the action. Viewers who talked with me during the "Telethon" asked questions regarding Eurovision, my artistic life and plans and I talked to parents of children with disabilities" ������������� ������ ������ ���������� ������ ������� ������ � ������� ���������� � ������ ���������� � ����������������� ��� "Teleton", ������������ �� ������ � ������������� ������ ��� ����� � ����������� ��������. ������� ����-������� ��������� �� ��� �������� ��������� ���������� ��� � ������� ������ � ������ ��������� �����������. ������ ����������: "� ������� ���, ��� ������� �� ��� ������������ ������ ������������ ����, � ��� �������, ��� ������ ������������ ������� ����� ������ ���� �����. �������, ������� �������� �� ���� �� ����� "��������", �������������� ������������, ���� ����������� ����� � �������, � ����� � ��������� � ���������� ����� � ����������� ��������". 09/04 Delivering News First! 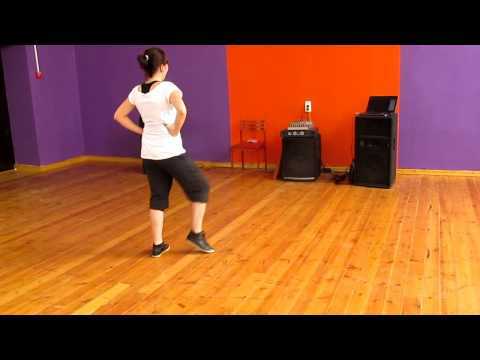 Several dance tutorials for the Eurovision 2012 entries have been published on YouTube and a number of dancing flashmobs have been planned. Maltese fans can join Kurt Calleja on Saturday 14th April at 10:30 am, St George�s Square, Valletta for a dancing flash mob to "This Is The Night". For the first time on April 29 in Russian city of Volgograd massive dancing flashmob will be held. One of the chosen tracks is Russian entry "Party for Everybody". Rehearsals are currently ongoing. 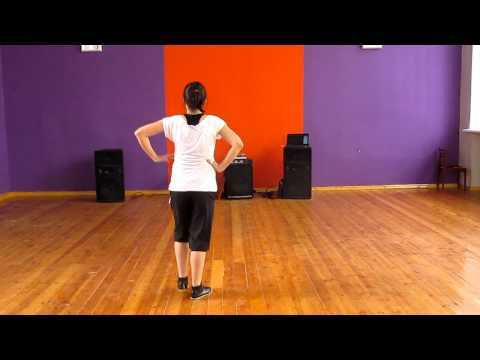 Learn dance of Zaleilah - Romanian entry in ESC 2012 and heat the dance floors all over the World. Many fans have started to do this and soon you will find out what international star is now a real fan of Mandinga's Dance. 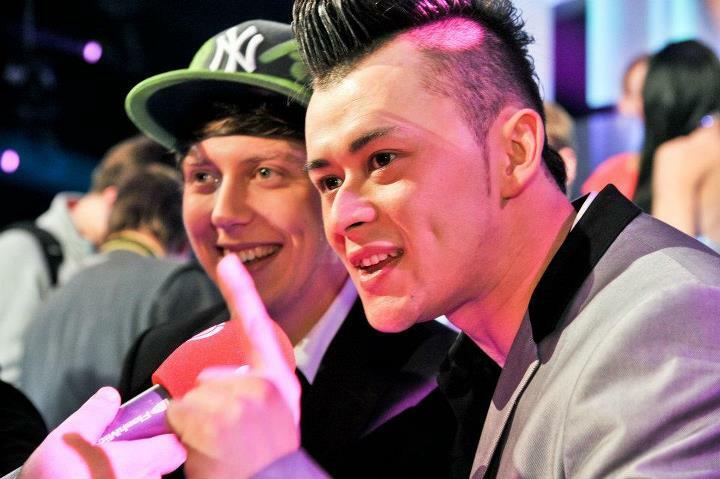 Several flashmobs have already been set for Irish 2012 entry Jedward: in Berlin, Munich, Duesseldorf, Cologne, Glasgow, Dublin, Helsinki Northampton etc. Next one is scheduled for tomorrow, 10th of April, 11.00 in Torquay, England. Dance flashmobs have been popular since their introduction at Eurovision 2010 when several mobs have been organized accross Europe dancing on the interval act song "Glow" by Madcon. ����������� ��� �����, ��������� ������ �� ����� ����������� 2012, � ����� ������������� ����� ������������ ���������. ����������� ������ ������ �������������� � ����� ������� 14�� ������ � ������� � 10.30 ���� �� ������� ��.������� � ������� �� ������������ �������� �� ����� "This Is The Night". 29�� ������ ��������� ������ � ���������� �������� ������������ �������. ����� �� ���������� ��� ���� ������� ����� ������ �� ����������� "Party For Everybody". � ��������� ����� ���������� ���������. �� ������ ��������� ����� ������� - ��������� ����� �� ����������� 2012 � �������� � ��� �������� �� ����� ����. ��� ������ ������ ������ ������ ���, � ����� �� ������� ����� ������������� ������ �������� ������� ����������� ����� ��������. ��� ��������� ��� ��� ����������� � ��������� �������������� �������� Jedward: � �������, �������, ������������, ������, ������, �������, ������������, ��������� � ��. ��������� �������� �� ������, 10 ������ � 11.00 � �����, ������. ������������ �������� ��������� � ������� �� �������� �� ����������� � 2010 ����, ����� ��� ����� ��� ����������� �� ���� ������ � ������� �� ����� ��������-���� �������� "Glow" ������ Madcon. Lead singer of the band Mandinga, who will represent Romania at Eurovision this year, Elena Ionescu, has appeared to have a vocal cords problem, as reported by Click.ro. Since the band was elected at the national selection Mandinga had almost daily concerts, and other performance events. Moreover, artists are busy preparing their choreography. Elena Ionescu, however, got tired and felt she needed a break. Some days ago, the singer has consulted with the doctor to make analyzes and to ensure that a health problem with vocal cords she had been experiencing will not create difficulties for her participation in the important competition. "For five years I had no problems, but now they have reappeared. We are exhausted, tired, but we have even more concerts scheduled. We had to start refusing to invitations because we have no time left to deal with Eurovision. We're searching for costumes, we have a lot to prepare. So I did a vocal break, I was doing my tests and they came pretty good. But I will still keep fixing my voice with natural products", said Elena. Earlier, Croatian entrant Nina Badric had to go through a vocal cords surgery, with recovery period about two monthes, but she is expected to be ready for Eurovision. � �������� ������ ��������, ������� ���������� ������� �� �������� ����������� � ���� ����, ����� �������, �������� �������� � ���������� ��������, �������� Click.ro. � ������� ������ ������ �� ������������ ������ � �������� ����������� ��������� ���� �������� ��� ������ �����������. ������ ����, ������� ������ ����������� ����������� ������ ������. ����� ������� ���������, ��� �� ��������� �����. ��������� ���� ����� ������ �������������������� �� ����� �������� � ����� ������� ��� ����, ����� ���������, ��� �������� �� ��������, � ������� ��� �����������, �� �������� �� �� ����� ������� ��������. "��� ���� ��� � ���� �� ���� �������, �� ��� ��� ��������� �����. �� ���������, ������, �� � ��� ������� �� ���������� ������������� ��� ����� ���������. ��� �������� ������ ������������ �� �����������, ������ ��� ��� �� ������ �� ������ ������������� � �����������. �� ���� �������, ��� ��� ����� ��� ����� �����������. ������� � ����� ��������� �����, ������ ������������, � ��� ���������� ���� ������ ��������������. �� � �������� ������ ���� ����� � ������� ����������� ����������", ������� �����. �����, ����������������� �������� ���� ������ ������ ����� �������� �� ������� � �������� �������������� ����� ���� �������, �� ���������, ��� ��� ����� � ������ ���������� � �����������. 09/04 Delivering News First! Following the contest, announced yesterday by the delegation of San Marino, two more countries have announced special competitions for their fans. Russian broadcaster RU.TV has invited fans to produce their fan videos for "Party For Everybody". Winner will get iPad, runner-up - iPhone and 3rd placed person - headset. Videos can be submitted to utro@ru.tv e-mail. On 30th of April composer Victor Drobysh and members of "Buranovskiye Babushki" will choose winners. 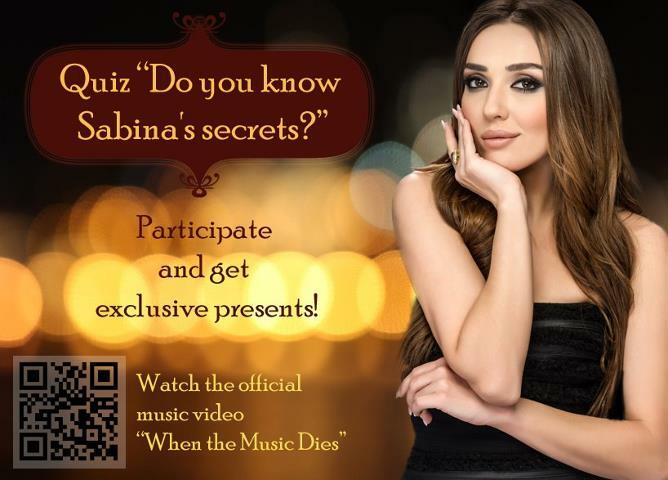 Azerbaijan delegation has announced the quiz: "Do you know Sabina�s secrets?" which will take place at Sabina�s Official Facebook Page during 10th � 20th April every working day at 11.00 CET. Questions will be asked and only first 13 comments with right answers will be counted: first right answer will get 10 points, second � 6 points, third � 4 points and every other one (till 13) will get 1 point. There will be 9 questions in total for 2 weeks. Final score table for the contest will be published on 23rd April. Most active participants with the biggest score will get an exclusive presents from Sabina herself. ����� �� ���������, ����������� ����� ���������� ���-������, ��� ��� ������ �������� � ����������� ������������� ��� ����� �����������. ���������� ������������ RU.TV ���������� ������� ������� ���� ���������� �� ����� "Party For Everybody". ���������� ������� iPad, ������ ������ - iPhone, � �������� ������ ����� - ��������. ����� ����� ������ �� e-mail utro@ru.tv. 30�� ������ ���������� ������ ������ � ��������� ������ "����������� �������" ��������� �����������. ��������������� ��������� �������� �������: "������ �� �� ������� ������? ", ������� ������� �� ����������� �������� ������ � �������� � 10 �� 20 ������, ������ ������� ���� � 13.00 ������. ����� ���������� �������, � ������������� ������ ������ 13 ������������ � ����������� ��������: ������ ������� 10 ������, ������ - 6, ������ - 4, � ������ ��������� �� 13�� - 1 ����. ����� �� ��� ������ ����� ������ 9 ��������. �������� ������� �������� ����� ������������ 23�� ������. ����� �������� ��������� � ��������� ����������� ������ ������� ������������ ������� �� ����� ������. 08/04 Delivering News First! Representative of San Marino Valentina Monetta has announced a contest to create a fan video for her Eurovision entry. The prize is an exclusive VIP trip to the world famous Oktoberfest 2012 in Munich, Germany (flights and hotel included), where winner will become esteemed guest of Valentina Monetta, plus will get another 1000 Euro in cash. 9 runners up will receive cash prizes from 100 to 700 Euros. An original fan video can be created both to original "Facebook" or Eurovision "Social Network" version. Another option is to beam yourself into the video of The Social Network Song in your own creative way, a special green-screen version of the music video is available for download. Upload the video you have created to YouTube (by May 14th) and tag it with the following keywords: EUROVISION 2012 SAN MARINO SOCIAL NETWORK MUSIC VIDEO CONTEST. Fill out Participant Registration Page (link will be published on Friday 13th of April) with your personal details and a link to your YouTube video. Your video will be added to the contest playlist on Valentina's YouTube page if your entry has been accepted. As bonus prize the video that reached the highest amount of views on YouTube during the competition period will win a travel to San Marino for a long weekend (flight and hotel inclusive) and meeting Valentina for an exclusive dinner. Jury members are: Valentina Monetta, Ralph Siegel, Timothy Touchton, Jose Santana Rodriguez, Carmen Lasorella (Director General smTV San Marino), Alessandro Capicchioni (Head of Delegation smTV San Marino). For more details check this Facebook event page. ����������������� ��� ������ ��������� ������� �������� � �������� �� �������� ���-����� �� �� ���������� �����. ������� ������ � �������� �������� ������������ VIP ������� �� ���������� Oktoberfest 2012 � ������, �������� (������� ������ � ����������), ��� �� ���������� ������ ������ ��������� �������, � ������� ������ ���� ��� 1000 ���� ���������. ������ ������, �������� 2-10 ����� ������� �������� ����� � ������� �� 100 �� 700 ����. ������������ ��� ���� ����� ���� ������ ��� �� ������������ "Facebook", ��� � �� ���������� "Social Network" ������ �����. ������ ��������� �������� ���������� ��������� ���� � ������� ���� �� Social Network Song, ��� ���� ����� ������� ����������� ������ ����� �� ������� ����. 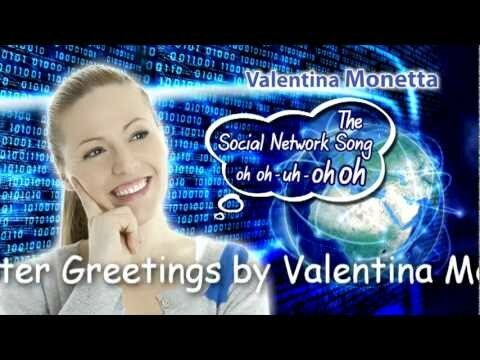 ��������� ���� ����� �� YouTube (�� 14�� ���) � �������� ��������� ����: EUROVISION 2012 SAN MARINO SOCIAL NETWORK MUSIC VIDEO CONTEST. ��������� ��������������� �������� (������ �������� 13�� ������) � ������ ������� ������� � ������� �� ���� �����. ����� ���� ������ ����� ������� - ��� ���� ����� �������� � ���������� �������� �� ����������� YouTube ������ ���������. � �������� ����� ����� ����� �����, ������� ������� ������ ����� ���������� �� Youtube, ������� ������� � ��� ������ �� �������� (������� ������ � ����������) � ���������� � ���������� �������� �� ������������ �����. � ���� �������� �����: ��������� �������, ����� ������, ������ ��������, ���� ������� ��������, ������ ��������� (����������� �������� ���������� smTV ��� ������), ���������� ���������� (����� ��������� ��� ������). �������������� ������ ����� ����� �� �������� � ��������. 08/04 Delivering News First! 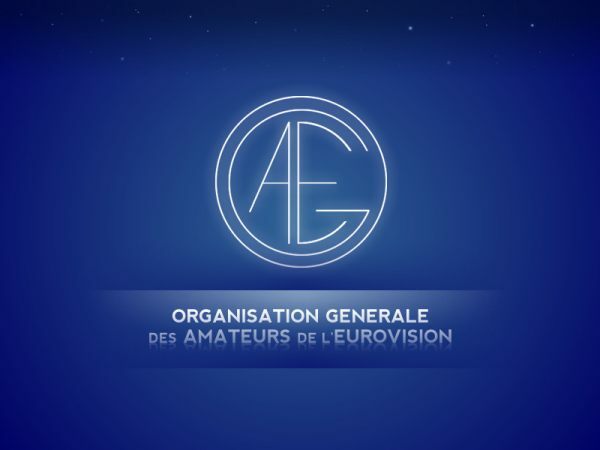 Traditionally, after preview parties where fans can listen to the participating entries and watch their music videos or live performances, official Eurovision Contest fan clubs (OGAE) are voting. This year, we will as usual run the special page on the OGAE Rest of the World Facebook, where you will be able to track the results of voting of OGAE clubs around Europe. OGAE Bulgaria: 12 Sweden, 10 Serbia, 8 Cyprus, 7 Denmark, 6 Switzerland, 5 Romania, 4 Greece, 3 France, 2 Norway, 1 Estonia �����������, ����� ������-���������, ��� ���������� �������� ����� ���������� ����������� ����� � ����������� ���������� �� ���, �������� ����������� ����������� ���-������ ����������� ����. � ���� ����, ��� ������, �� ����� ����� ����������� �������� �� �������� ���� ��������� ���, ��� �� ������� ������� �� ������������ ����������� ���� ������ �� ���� ������. Co-author of the Slovenian entry is Hari Varesanovic, known better as Hari Mata Hari, who actually was due to perform the song at Eurovision defending colours of Bosnia and Herzegovina, but at the end as his negotiations has failed, the song has been given to a Slovenian representative. "We didn't have a lyrics of our song at that moment and thus Bosnian television has unfortunately lost it's patience and had to choose another entrant. But then I've got proposal from Slovenian television", says Graic. "Eva Boto is very talented, and I expect her to be placed in top ten. Highest ranking for Slovenia has been achieved a while ago and it is 7th place. For them Eurovision is more an entertainment and an opportunity to promote the country on the European scene. Eva is one of the most talented singers I have worked with. She is completely natural on stage and it is good", says Graic, also known to the European audience as the composer of Eurovision 2007 winning entry "Molitva". "I'm all tied to "Molitva" and thus I'm in a spotlight. But I'm just writing my own music, whether it may be similar to "Molitva" or not. I'm pleased with the reaction on "Verjamem" of the Eurovision fans, who have brought us a million hits on Youtube". Composer admits there will be strong competition in Baku - with favourite being Loreen from Sweden and excellent chances of Serbian entry and Zeljko Joksimovic as well. "Loreen has a great song, great stage performance, and that's why she is valid favourite. And we need to take into account the Scandinavian lobby, which is very strong. I also liked songs of Spanish and Icelandic entrants and I'm exctremely interested and like Russian grannies. To the category of big favourites I can also add Joksimovic, his song has his distinctive style and spirit, and I'm sure he will have a good rank". English and Serbian versions of Slovenian entry will be released in the end of April. Serbian lyrics have been penned by Leontina Vukomanovic, while English lyrics were made by Nektarios Terakis from Greece. ��-������� ���������� ����� �������� ���� �����������, ��������� ����� ��� Hari Mata Hari, ������� �� ����� ���� ������ ��� �� ��������� ��� ����� �� ����������� 2012 ���, ������� ����� ����������� �����. ������, ���������� � ���������� ������������ ����������� �������������� � ����� ���� ������ ������������� ��������. "� ��� �� ���� ������ ����� � ��� ������, �, � ���������, ����������� ������ �������� �������� � �� �������� ������� ������� ���������. �� ����� � ������� ����������� �� ��������", ������� �����. "��� ���� ����� ���������� � � ������, ��� ��� ������ � ������ �������. ����� ������� ������ �������� ���� 7� � ��� ���� ��� ����� �����. ��� ��� ������� ����������� - ������ ����� ��������������� ��� � ����������� �������� ���� ������ �� ����������� �����. ��� - ���� �� ����� ����������� �����, � ��� � ����� ���� �������. ��� ����� ����������� �� ����� � ��� �� ����", ������� �����, ��������� ����������� ��������� ��� ���������� �����-�������������� ����������� 2007 "Molitva". "� ������ � "��������" � ������ �� ��� ��������� ��������. �� � ������ ���� ���� ������, ��� ����������� �� ����, ������ ��� �� "�������" ��� ���. � ����� ������� �������� �� "Verjamem" ����������� �������, ��� ��� ���� ��� ����� �������� ����� �� Youtube. ���������� ��������, ��� ������� � ���� ����� ����� ������� - ��������� � ������� �������� ����� �� ������ � �������� ������� ����� �������� ������ ���������� �� ������. "� ����� �������� �����, �������� �����������, ��� ����������� ������ ��������. ����, ���� ��������� �� �������� ������������� �����, ��� ������ ����� ������. ��� ����� ����������� ����� ������� � �������� � ����� �������������� � ���������� ���������� �������. � ��������� ��������� � ������ � �����������, ��� ����� ���������� ��� ������������� ������ � ����� �, � ������, ��� �� ������ ������� �����". � ����� ������ ����� �������� ���������� � �������� ������ ���������� �����. �������� ����� �������� �������� �����������, � ���������� - ��������� ������� �� ������. �����, 7�� ������, ��� ���� ���� ������� ��������� ��� �������� �� 1� ������ ����������� ��. ����� ����� � ������, ������ ������� ������� � ���� ������� ������� � ���� ��������� �����������. 07/04 Delivering News First! Official Karaoke versions album is out in Turkey. 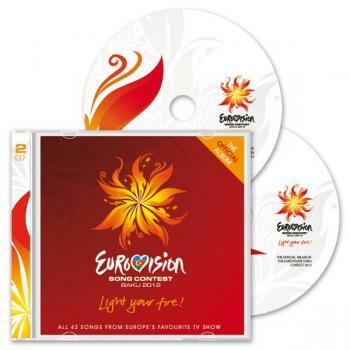 Fans from this country got the exclusive right to purchase the official karaoke album of Eurovision Song Contest 2012 via two local websites: TTNet Muzik and AveaMuzik, which also offers free prelistening of 30 seconds extracts of each song. CD single with British entry "Love Will Set You Free" will be released on May 6th by Conehead UK (preorder on iTunes or Amazon). Bonus tracks on the CD will be "Too Beautiful to Last" and "My Way". Next week it is record of the week on BBC Radio 2. 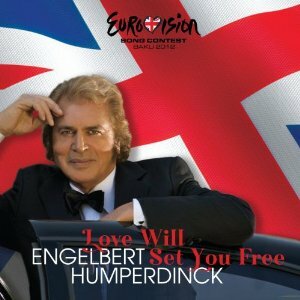 Also, BBC has announced that Engelbert Humperdinck will make some TV performances of 'Love Will Set You Free' in the coming weeks. 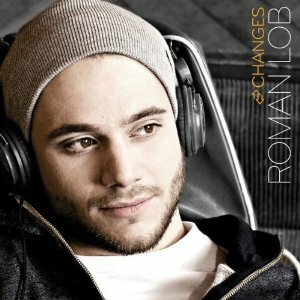 Roman Lob will release debut album Changes, recorded in Thomas D. studio, on April 13. The 13 track CD will include Roman's three songs from the Unser Star Fur Baku final. "There are ballads here, up-tempo numbers, some rock music, Red Hot Chili Peppers' style. This is a mixed bag", says singer. Following that he had scheduled numerous TV appearances: 19.04 TV total, Pro7; 21.04 "Verstehen Sie Spass? ", ARD; 23.04 Morgenmagazin, ARD; 27.04 NDR Talkshow, NDR; 04.05 Mittagsmagazin, ZDF; 07.05 Volle Kanne, ZDF; 10.05 NDR DAS!, NDR ����������� ������ � ������� �������� ������� � ������. ���������� �� ���� ������ �������� ������������ ���� ������� ���������� ����������� ������� ������ ����� �������� ����������� 2012 �� ���� ������� ���������: TTNet Muzik � AveaMuzik, ������ �� ������� ���������� ���������� ������������� 30-��������� �������� ������. ���������, ��� ����������� ������ � ������� ������ ����� �������� ������������ � �������� ������� 14�� ������. ���������� ����� ������� �������� � ������� � ������ ��� � �� ����� �������� �� Eurovisionshop.tv. CD ����� � ���������� ������ "Love Will Set You Free" ����� ������� 6�� ��� ��������� Conehead UK (��������� �� iTunes ��� Amazon). ����� ������� �� ����� ����� "Too Beautiful to Last" and "My Way". �� ��������� ������ ����� ����� ������ ������ �� BBC Radio 2. �����, BBC ��������, ��� � ����������� ������ ���������� ���������� ������ ������� � ���� �������. 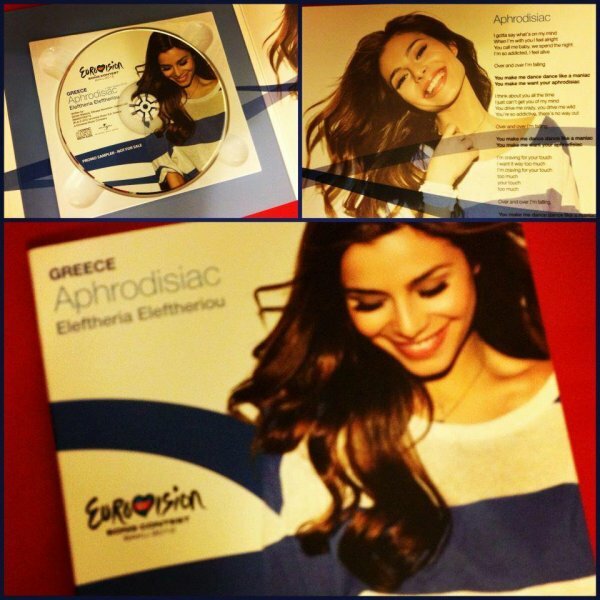 07/04 OGAE Greece has revealed the design of the press-kit for Eleftheria Eleftheriou. Apart from the CD single, the kit includes photo-material and information about the participant and her entry. Meanwhile, concluding her visit to Turkey, Eleftheria Eleftheriou has met members of OGAE Turkey - she talked to them answering their questions, shared opinion, made photos and presented them signed copies of her promo single. Earlier, OGAE Greece has revealed that Victoria Chalkiti will be backing vocalist for Eleftheria Eleftheriou at the Eurovision 2012. Victoria deals with music since her childhood and has collaborated with renowned artists of the domestic music scene. She has been backing vocalist at Eurovision four times, in 1993 accompanying the Katy Garbi, in 1994 as the backround vocalist from Kostas Bigalis, in 2005 for Belarus entrant Angelica Agurbash and 2008 for Kalomira. Also Eleftheria will be backed by two male and two female dancers. ���� ������ �������� ������ �����-���������� ����������������� ���� ������ ��������� ���������. ������ ������, � ��� ������ ���� ��������� � ���������� �� ��������� � �� �����. ��� ��������, �������� ���� ����� � ������, ��������� ����������� � ������� ���� ������ - ���������� � ����, ������� �� �� �������, ���������� �������, ������������������ � �������� �� ������ ���� ����� � �����������. �����, ���� ������ �������� � ���, ��� �������� ������� ������ ���-����������� ��������� ��������� �� ����������� 2012. �������� ���������� ������� � ������� � ������������ �� ������� ���������� ��������� �� ��������� �����. ��� ���� ���-����������� �� ����������� ������ ���� - � 1993 ���� � ���� �����, � 1994 - � ������� ��������, � 2005 ���� � ����������������� �������� �������� ������� � � 2008 ���� � ��������. ����� � ���������� �������� ��� ������� ������� � ��� �������. 07/04 Maya Sar, the representative of Bosnia and Herzegovina, was a guest at the Sarajevo TV 1, where she talked about her preparations for the Eurovision. Maya has revealed that her Eurovision performance will be directed by Ahmed Imamovic, who also directed "Korake te znam" music video. "Song "Korake te znam" is in itself quite an emotional and dreamy. I do not want to cater to any Eurovision cliches. The song features me and the entire performance will be such that it will not desecrate the song and there will be no special effects during the performance - I will be alone on stage and try to convey all the emotions of the audience", said Maya in the interview. "Inspiration is about love and story is about two people who have been together for many years, but now they are living different lives and do not know where to go. They cannot continue like that, but they cannot reject one another and all years they had been living together", describes her song Maya. When asked about the other competitors - Maya has mentioned that she is happy that the songs of entrants from Balkan region are mostly self-written and describe the musical expression of each of them, while from the rest of Europe she is fond of Estonian entry Kuula and bookmaker's favourite - Loreen. Italian and English versions of the song will be released soon. ����������������� ������ � ����������� ���� ������� ����������� ���������� TV 1, ��� ���������� � ����� ���������� �� �����������. ���� ��������, ��� ���������� �� ����������� �� ����������� ����� ����� ��������, ������� ����� ��� ���������� ���������� �� ����� "Korake te znam". "����� "Korake te znam" ���� �� ���� ����� ������������ � �������������. � �� ���� ��������� �����-�� ����� �����������. ����� ������������ ��� ��� � ��� ����������� ����� �����, ����� �� ��������� �������� �� �����, � ��� �� ����� �����-�� ������������, � ���� ���� �� �����, � ���������� �������� ��� ������ ��������", ������� ���� � ��������. "����� � �����, ������� � ���� �����, ������� ���� ������ ����� ���, �� ������ ����� ������ ������ � �� �����, ���� �� ���� ������. ��� �� ����� ���������� �����, �� ��� �� ����� � ���������� ���� ����� � ��� �� ����, ������� ��� ������� ������", ��������� ���� ���� �����. �� ������ � ������ ������������ ���� ��������, ��� ��� ���� ����, ��� ����� ������ ������������ �� ����������� ������� �������� ���������� � �������� ����������� ���������� ������� �� ���, � �� ���������� � ��������� ������ �� �������� ������������� ������� � ������� ���������� - �����. � ������ ������� ����� �������� ����������� � ���������� ������ �� �����. 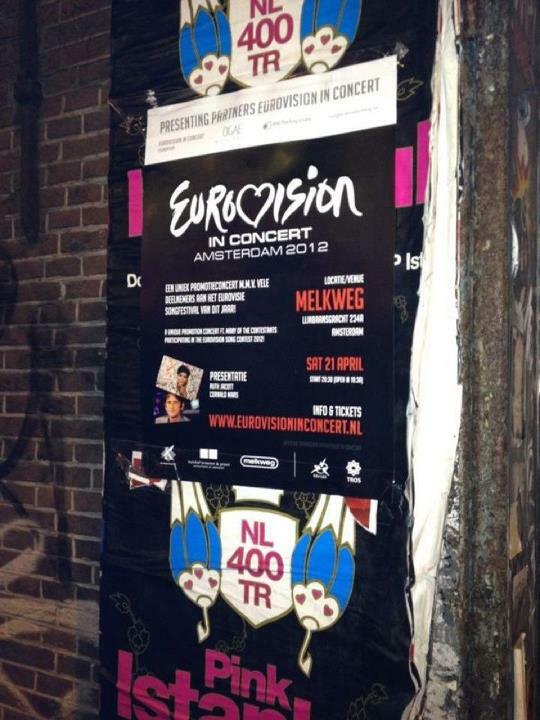 07/04 Two biggest Eurovision promo-parties will take place in Amsterdam and London this month. Amsterdam party will be attended by around 24 participating countries, while about 10 countries are expected in London. You can find more details on them on our promotional-tours page. Donatas Montvydas has no funding, so to Amsterdam his team will go on their own costs, says producer Martynas Tyla. "We had to reject many proposals of visiting other countries and to choose only the larger and more serious events. Our plans are very clearly arranged - we know when and where we will go, and when we will be doing the interviews. The schedule in Amsterdam includes meeting with journalists on a morning cruise and performance in a club that will host over thousand people", he explains. 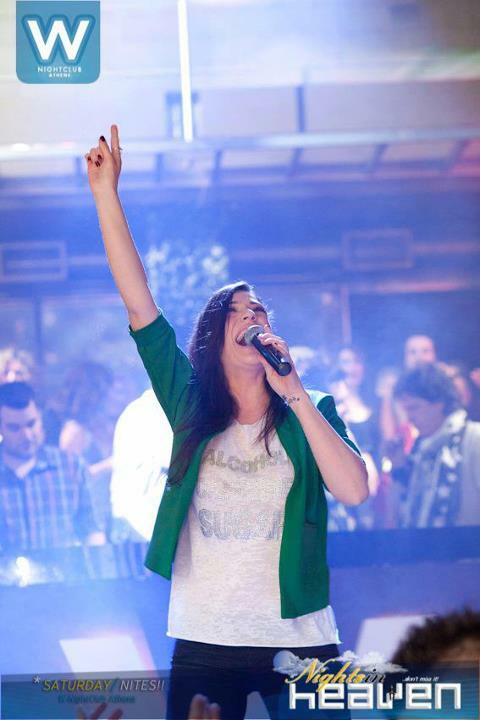 The costs of travel of Filipa Sousa to London will also be paid in full by the singer. "RTP has said that they are doing the local promotion, but they don't have funds for travelling abroad. However, Eurovision happens once in a lifetime, and I want to enjoy it to the maximum, with or without support of RTP", said the Portuguese entrant. "I will not go on the promotional tour, the first person who gave me an advice - it was Eva Rivas. She told me, Anri, don't go on a promo-tours, they are absolutely useless. I just want to go to the Netherlands, to hang out with the other participants, there will be a very good party", said Georgian entrant Anri. At the meantime Pernilla from Finland has declared that she will use "Eurovision in Concert" as the chance to get experience in live performances in front of the crowd and for the first time meet foreign press. ��� ����� ������� ��������� ����������� ��������� � ���� ������ � ���������� � �������. ������������� ��������� ������� ����� 24� ����������� �����, � � ������� ��������� ����� 10 ������������ ����� ����. ����������� �� ���� ������������ ����� ����� �� ����� �������� �����-�����. � �������� ���������� ��� ��������������, ������� � ��������� �� ������ �� ���� ����, ������� �������� ����������� �������� ����. "��� �������� ���������� �� ������ ����������� � ��������� ������ ����� � �������� ������ ���������� � ����� ��������� �����������. ���� ����� ����� ����� ��������� - �� ����� � ����� ���� � ���� �� ����������, ����� ����� ������ ��������. ���������� � ���������� �������� � ���� ������� � ������������ �� �������� ������ � ����������� � �����, ������� ������� ����� ������ ��������", ��������� ��. ������� �� ������� ������ ����� � ������ ����� ��������� ������� ���� ������. "RTP ������� ���, ��� ��� ���������� ������� �����������, �� � ��� ��� ������� �� ������� �������. ������, ��������� ����������� ������ ������ ��� � �����, � ���� �������� �� ���� ������������ ������������, � ��� ��� ��������� RTP", ������� ����������������� ����������. "� �����-��� � �� �����, ������ ������� ������� ��� ����� ����� - ��� ���� ��� �����. ��� ������� ���, ����, �� ����� � �����-����, ��� ������ �� ����. ������ ��� ������� ������� � ���������, ������������ � �����������, ��� ����� ������� ������� �����", ������� ������������� ������ ����. � ��� �������� �� ��������� �������, ��� ����������� �� "Eurovision In Concert" ��� ��� ������ ����� ������ ��� ���� �������� ���� ����������� ����� ������� ������, � ������� ����������� � ����������� ������������. "The decision to sing in Macedonian language appeared at the same time both spontaneously, and from all my heart. Maybe because when I being a little girl was watching contest, the most interesting thing to me was how languages differ from each other, their melodic that every time encouraged me to carry them in my own way! For the English version of my song will also be done a video, and therefore those who have liked this version more, will be able to enjoy the video adaptation, although I confess that my English is not like the English in general, I feel like Penelope Cruz in an American movie, "said the singer, adding that one of the choruses in her song will be still performed in English. 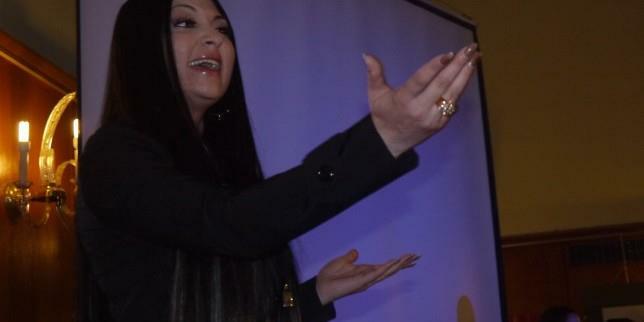 As for the presentation of her song Kaliopi said: "The presentation, which I will show in Baku will be fairly simple and straightforward, the same as is my song "Crno i Belo". Light will be the secret idea of my performance"
"The only thing of what I think and breathe at the moment, this is in 3 minutes to transfer to you my black and white world, and to acquaint the beautiful people with beautiful thoughts on life and the world in which we all live together. If my song will penetrate into the soul the majority of viewers and listeners, my mission at Eurovision will be more than successful, both for me and for my Macedonia", said Kaliopi. "The lyrics are autobiographical. The song was made by Romeo Grill, who had done the biggest hits of my career. I thought that Romeo felt the best singing sensibility and knows what is needed for ESC. I just asked Romeo - Whether he had got the winning song? He said - "Yes." Finally there was the whole idea and I wrote the text itself", adds Kaliopi to Naxi radio. "I do not see Eurovision as competition. Under this sky there is enough room for all of us. I'm really for the diversity in the Eurovision. For example, when I look at video footage of those Babushki that Russia has chosen this year, I can not help enjoying it and laughing, because it amuses me and I am really looking forward seeing them at the contest. Actually, I thought that I would be the oldest participant in the Eurovision. But we also have a 75-year representative from England, the legend that I remember, listening to his music when I was a little baby", said Kaliopi. "������� ����� ���� ����� �� ����������� ����� ��������� ������������ � ���������, � �� ����� ������. ����� ���� ��-�� ����, ��� ����� � ������ ������ ��������� �������� �����������, ����� ���������� ��� ���� ���� ��, ��� ����� ���������� ���� �� �����, �� ������������, ��� ������ ��� ��������� ���� ��������� �� � ����� ������! �� ���������� ������ ���� ����� ����� ����� ���� ���� � ������� ���� ������ ����������� ��� ������, ������ ����������� �� ������������, ���� � ���������, ��� ��� ���������� �� ����� �� ���������� ������! � �������� ���� ��� �������� ���� � ������������ ������", ���������� ������, �������, ��� ���� ������ � �� ����� ���-���� ����� �������� �� ����������. �� ������ ����������� ����� ����� ������� ��������: "�����, � ������� � �������� � ���� ����� ���������� ������� � ��������������, ����� �� ��� � ���� ��� ����� �Crno i Belo�. ���� ����� �������� ������ ���������� ����� �����������". "E����������� � ��� � ����� � ���� � ������ ������, ��� � ���� 3 ������ ������ ��������� ��� ���� �����-����� ��� � ����������� �������� ����� � ��������� ������� � ����� � ����, � ������� �� ��� ������ �����. ���� ��� ����� ��������� � ���� ����������� �������� � ����������, ��� ������ �� ����������� ����� ������, ��� ��������, ��� ��� ����, ��� � ��� ���� ���������", �������� �������. "����� ����� - ���������������. �� ������� ��� ���� ����� �����, ������� �������� ������� ���������� ����� � ���� �������. � ��������, ��� ����� ����� ����� ������� ������������� � �����, ��� ����� ��� �����������. ������� � ������ �������� � ���� - ���� �� � ���� �����-����������? � �� ������� - ��. ������� � ��� ���� ����, � � ���� �������� ��������� �� �����", ������������ ������� ����� �����. "� �� ������������ ����������� ��� �������. ��� ���� ����� ���������� ����� ��� ����. � ������ �� ������������ �� �����������. ��������, ����� � ������ �� ����� ����������� ���� �������, ������� ������� ������, � �� ���� �� �������� ������������ � ��������, ������ ��� ��� �� ���������� ������� ����, � � � ����������� ��� ������� � ���� �� ��������. ������-��, � ������, ��� � ���� ����� ������� ���������� ����������� � ���� ����. �� � ��� ���� � 75-������ ������������� ��������������, �������, ��� ������ � �����, ��� ������� ��� � ������ �������", ������� �������. ������, ������� ����������� ���� ������� �� ���������� ��������� �����������. �� ����� ����� ������� � �������� ������ ��������� ���� �����-����������� � �������� ���������� � VIP-����, ���������� �� ������� ����������. 20�� ������, ������� �������� ������ � ��������� ������������ ���������� ������ ����������� �� �������� � ���������� ���������� ������ � �����. 06/04 Delivering News First! Belarusian entrants Litesound have began their Belarus tour with concert in club "Moulin Rouge" in Minsk. Before that, the band members talked with journalists, in particular, with Azerbaijani website ANN. "At this moment these concerts, various TV shows - are our preparation for the Eurovision Song Contest. But from next week we will begin to think solely about the competition. When we were told, how much our concerts are expected in different cities of Belarus, we could not refuse. So now we have a lot of concerts and performances. But we are confident that they will not prevent us from preparing for the "Eurovision" and doing trips to Europe. We expect some promotional tours in Europe, we will visit Belgium, the Netherlands and other European countries. We would also like to visit with a promotional tour Italy, where from comes one of our singers Jacopo Massa, "say members of the group. "Given that according to the rules of Eurovision, the country can not vote for themselves, we hope that Italy will support Belarus. 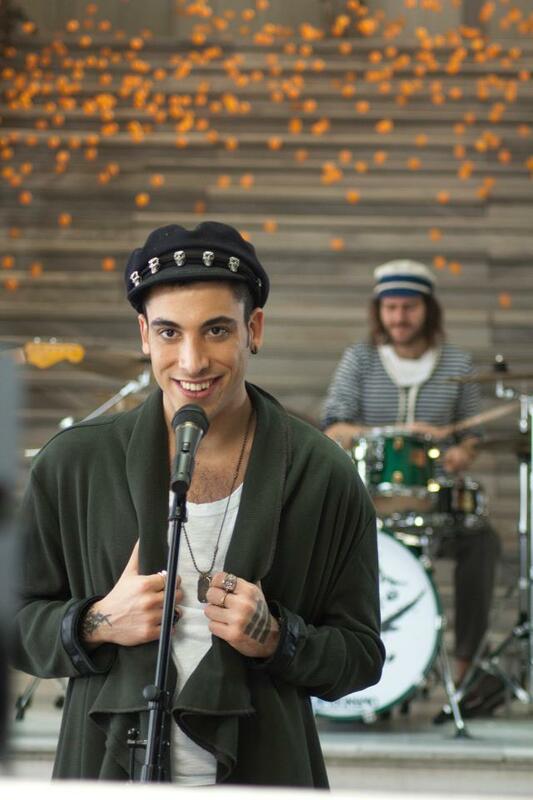 In general, I am very happy that, to some extent, I've played a role in the popularization of "Eurovision" in Italy. There are two Italians, represented in this contest, so this year on "Eurovision" are done twice as many articles and TV programs. This contest becomes more and more popular in Italy and I'm happy that there is my merit as well, "said Jacopo. The group is now busy with shooting of a music video for Eurovision: "We have decided not to go the easy way. Despite the fact that, in connection with concerts we have less and less time and more and more work, we've decided to proceed with shooting of the video in it's original scenario. That is, there are disaster-movies, but it will be a disaster-video. We want to film a video that will be completely revealing the meaning of the song, what it is written about. It is that if we all believe in and go for our goal, then we will achieve it, despite all the difficulties. Only faith can help us. And if we are all together, it also will save us. So the music video will speak precisely about it - if all people will stand for each other, we can make the world better and be able to help each other", says Dmitry Karjakin. Script preparation and shootings will be carried out by the members of the group themselves. They are help different organizations, such as Emergencies Ministry of Belarus, and possibly members of the group will perform in the role of rescuers. As for the staging for Baku, lead singer, said: "I can say one thing, the idea of performance, which will be shown on the stage, again, quite by chance, is related to the theme of the music video. Director of the staging was inspired by the power of the song itself, he did not know what kind of music video we plan to make. I think as the result we will get something interesting. I am very pleased that we ourselves do not need to think on it. Because it would be too much. We do not have enough time for anything now. " For a promo-single group Litesound continues to prepare alternate versions of the song. "We are working with one of our best jazz musicians and conductors on the creation of jazz version of the song with his orchestra. I've listened already to the demo. For me I think it sounds like something from "James Bond". We still want to make a funky version. Chill-out version is also prepared, now we need only time to record it". "I really wish that we could perform on a very high level and were liked by the audience. So that they got a desire to vote for us when they see our performance at the Eurovision. That is, I think the main thing. Well, about a place which we can get... There is an objective factor of subjective perception. I would certainly like very much to see the group "Litesound" on the top lines, but I do not have the nerve to ask God about it " ����������� ������ Litesound ������ ���� ����� �� �������� ��������� � ����� "����� ���" � ������. ����� ����, ��������� ������ ���������� � ������������, � ��������� ��������������� ������ ANN. "�� ������ ������ ��� ��������, ��������� ������� � ���� ���� ���������� � �����������. �� �� ��������� ������ �� ������ ������ ������ � ������������� � ��������. ����� ��� ����� ��������, ��� ����� ����� ���� �������� � ������ ������� �� ��������, �� �� ����� ��������. ������� ������ � ��� ���������� ����� ��������� � �����������. �� �� �������, ��� ��� ��� �� �������� � ���������� � "�����������" � �������� �� ������. � ��� ��������� ��������� �����-����� �� ������, �� ������� �������, ���������� � ��� ������ ����������� �����. ��� �� �� ����� ������ �������� � �����-����� ������, �� ������� ����� ������ ����� �����", ������� ��������� ������. "��������, ��� �� �������� �����������, ������ �� ���� ���������� ���� �� ����, �� ��������, ��� ������ ��������� ��������. � ������, � ����� ��������, ��� � �����-�� ������� ������ ���� � ������������� ������������� � ������. ��� ���� ���������� ������������ �� ���� ��������, ������� � ���� ���� � ������������ ������� � ��� ���� ������ ������, ��������� � ��� ���� ������ �������. ���� ������� ����������� � ������ ��� ������� ��� �, ���������, � ��������, ��� � ���� ���� � ��� �������", ������� �����. ������ ������ ����� ������ ������ ��� �����������: "�� ������ �� ���� �� ������� ����. �������� �� ��, ��� � ����� � ���������� ������� ��� ������, � ������ ��� ������ � ������, �� ������ ������� ���� �� ��������������� ��������. �� ����, ��� ���� ������-����������, � ��� ����� ����-����������. �� ����� ��� ��� ����� ����, ������� �� ��������� ��������� ����� �����, ��, � ��� ��� ��������. ��� � ���, ��� ���� �� ��� ����� � ���� � ����� ����, �� �� �������� ��, �������� �� ��� ���������. ������ ���� ����� ������ ���. � ���� �� ��� ����� ������, ��� ���� ��� ������. ������� ����� ��� ���-���� ���� �� ���� � ����� � ���� ��� ���� ����� ��������� ���� �� �����, �� �� ������� ��� ����� � ������ ���� ����� ������", ������� ������� �������. ������� ��������, � ����� ������������ ������ ���� ��������� ������. �� �������� ������ �����������, �������� ��� ��������, �, ��������, ��������� ������ �������� � ���� ����������. ��� �� �������� ������ ��� ����, ������ ������ �������: "���� ������� ����, ���� ������, ������� ����� ������� �� �����, ����� ��, ���������� �������� ������� � ����� �����. ��������� ��� ����� ������� ���� ���������� �����, �� �� ����, ����� �� ��������� ������ ����. �����, � �����, ���-�� ����������. � ����� ���, ��� ��� ����� ��� �� ����� ������. ������ ��� ��� ���� �� ��� �������. ��� � ��� ������� �� ������� �� �� ���". ��� ������ ������ Litesound ���������� �������� �������������� ������ �����. "�� �������� ������ � ����� �� ������ ����� ��������� � ��������� ��� ��������� �������� ������ ����� � ��� ���������. � ��� ��������, ��� ����������. �� ������ ����� ������ ���-�� �� �������� ����� ��� ����� ������� ����-������. ���-��� ������ ����, �������� �� ������ ��������, ����� �������� ��� ����� �����". "��� �� ����� ���� �������, ����� �� ��������� ����� �����������, ����� ���������� ��������. ����� � ��� ��������� ������� ���������� �� ���, ����� ��� ������ ���� ����������� �� ������������. ��� ���, � �����, ����� �������. �� � ��� �����, ������� ����� ������� ��� ��� ����������� ������ ������������� ����������. ��� �� ������� ����� ��������, ����� ������ �Litesound� ���� � ������� ��������, �� �� �������� �������� � ���� �� ���� �������"
06/04 After Eurovision funds for CyBC broadcaster have been approved by Cypriot Parliment, this country's entrant Ivi Adamou is continuing her promotion. Today, April 6th, she will be performing at Mousses Club in Agrinio, Greece. Meanwhile, her song is also now on 4th place at Greek Digital Singles Chart. Earlier, on March 31, she has performed at W Club in Athens together with Eleftheria Eleftheriou and Nikki Ponte, and on March 30th - in Barcode at Chios. On 19th of April, Ivi Adamou is set to perform in London in the event organized by LGR 103.3 FM at the Stone Marquee club. The singer will not take part in Eurovision in Concert in Amsterdam, as earlier reported. Preview-videos of all countries taking part in Eurovision 2012 will be screened by the RIK A Sunday and Monday of Easter, at 5.00 pm. ����� ����, ��� ��������� ����� ���������� ��������� ������� ���������� CyBC ��� ������� � �����������, ����������������� ���� ������ ��� ����� ���������� ���� ����� ����������. �������, 6�� ������, ��� �������� � ����� Mousses � �������, ������. ��� ��������, �� ����� ��������� �� 4� ������ ���������� ����� �������� �������. �����, 31�� �����, ��� ��������� � W ����� � ������ ������ � ���������� ��������� � ����� �����, � 30�� ����� - � Barcode � �����. 19�� ������, ��� ����� ��������� ��������� � ������� �� �����������, �������������� LGR 103.3 FM � ����� Stone Marquee. ������ �� ������ ������� � Eurovision In Concert � ����������, ��� ���������� �����. ������-����� ���� �����, ����������� ������� � ����������� 2012 ����� �������� �� ������ RIK �� �����, � ����������� � ����������� � 17.00 �������� �������. 06/04 Delivering News First! Representatives of Switzerland, band Sinplus have signed the long awaited label deal. 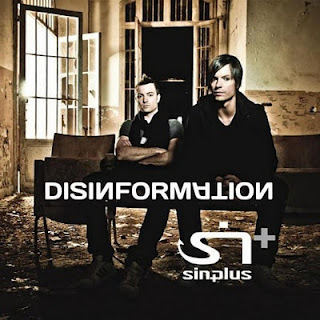 The band has already recorded debut album Disinformation, which includes Eurovision entry + 11 new tracks, but so far it was only available digitally and as promo. Today the band has announced getting contract with major label Warner. "We had many contacts with record companies, got several proposals, but in the end we've selected the Warner deal". Unbreakable will be launched as first single from the album, and in May a CD release is planned. The CD will be distributed in Switzerland, Germany, Austria and Poland. More countries may be added depending on the Eurovision result. Also, Unbreakable will be presented on some TV channels and radios, and group is also likely to open concerts for other Warner artists. "We're doing so much promotion, not for Eurovision only, but also for what will happen next. We want to have a history after the contest. So we're now looking for sponsors and long-term deals", says Gabriel Broggini adding that besides doing interviews for Eurovision sites and making appearances on local TV, they are still continuing to record new material. "Eurovision is only pleasure for us. We know that even great artists like DJ Bobo failed to reach the final, so we do not feel any pressure. We're new and not well known to general public, so we're classic outsiders, but anything can happen", say brothers. ������������� ���������, ������ �������, ��������� ������������ �������� � �������. ������ ��� �������� �������� ������ Disinformation, ������� �������� � ���� ����� ����������� � 11 ����� ������, �� �� ����������� ���� �� ��� �������� ������ � �������� ������� � � ���� �����. ������� ������ �������� � ���, ��� �� ������� ��������� �������� � ����� �� ���������� �������� - Warner. "� ��� ���� ��������� ��������� � ������-��������, �� �������� ��� �����������, �� � �����-������ �� ������� ������ � Warner". Unbreakable ����� ������� ��� ������ ����� � �������, � � ��� ����������� CD �����. CD ����� ���������������� � ���������, ��������, ������� � ������. ��������, � ����������� �� ���������� �� ��������, ����� ��������� � ������ ������. Unbreakable ����� ����������� �� ����������� � �����, � ������ �������� ����� ��������� �������� ��� ������ �������� ������ Warren. "�� ������ ������ ����� ������� ���������, �� ������ ��� �����������, �� � ��� ����, ��� ����� ������. �� �����, ����� � ������ ���� ������� � ����� ��������. �������, �� ���� ��������� � ������������ ���������", ������� �������� ��������, ��������, ��� ������ ���������� �������� ������ ����������� � ����������� �� ������� ��, ��� ���������� ���������� ����� ��������. "����������� ��� ��� - ���� ������������. �� �����, ��� ���� ��������� ��������, ��� DJ Bobo �� ��������� ����� � �����, ������ �� �� ��������� �������� ��������. �� ����� ������� � �� �������� ���� ������� �������, ������� �� ��������� ������������ ������������ ��� ������� ���������, �� �� �������� ����� ��������� ��� ��� ������", ������� ������. 06/04 Delivering News First! Official music video for Bulgarian entry will be broadcast for the first time on BNT1 on Saturday night after the "Po sveta i u nas" emission. Immediately afterwards, the video can be seen at sofi-marinova.com and eurovision.bnt.bg. The clip tells five stories of love - not only between men and women, but among friends, family, etc. Sofi herself is present in relatively small role, but she acts as a unifying person of the five stories. Stylist of Sofi for video was Antonia Jordanova. The vision of the singer is very clean, elegant and gentle, without typical for her bright colors and jewelry. Video has been directed by Nicholas Nankov, who has many international awards to his name and worked with many popular Bulgarian stars. Producers of videos are BNT and Sony Music. Meanwhile, Roma pop-folk singer Sofi Marinova herself has visited Bulgarian Parliament today and performed "Love Unlimited" and Roma song "Dzhelem, dzhelem" on the occasion of the International Roma Day (8 April). Her performance came at the invitation of MPs from the parliamentary group of center-right ruling party GERB and Deputy Prime Minister and Interior Minister Tsvetan Tsvetanov. "It is a high time we had a Roma Member of Parliament," key GERB lawmaker Iskra Fidosova stated after her performance. Fidosova revealed that she has been to over 20 of Sofi Marinova's life performances. On March 27, Sofi Marinova visited the European Parliament to perform "Love Unlimited", the song with which she won the Bulgarian Eurovision contest in 2012. She was invited in Brussels by Bulgarian MEPs from GERB to mark the International Roma Day. "Love Without Borders" is my message to all to love and smile more", said the Bulgarian entrant, revealing that she will be performing alone on stage, without backing dancers, and is currently working together with her producer Krum Krumov with stylists and make-up artists. She will be joined in Baku by her son Lorenzo, to whom she had dedicated her victory at the national final. "I hope that my song will be liked by many. I would really like to win at the competition, so that next Eurovision took place in my country", added the singer. ����������� ��������� �� ���������� ���������� ����� ������� ����� ����������� �� ���������� BNT1 � ��� ������� ����� ��������� "�� ����� � � ���". ����� ����� ����� �� ����� �������� �� ������ sofi-marinova.com � eurovision.bnt.bg. ���� ��������� � ���� ��������� �������� �����. ��� ����� �� ������ � ����� ����� �������� � ��������, �� ����� ����� ����� ��������, ����� �������������� � �.�. ���� �� ����� ����� ���������� � �����, �� �� ���� ����� �������� � ���, ��� ��� ��������� ��� �������� �����. ��������� ���� ��� ���������� �������� ������� ���������. ��� ���������, ��� �� ���� ��� ����������������� �������� �� ����� ��������� ��� ��������������, ��� ������. ���������� ����� �������� ���� ������, ���� �� ����� ��������� ���������� ���������� � ��������. ��� ��������, ���� ���������� ���-���� ������ ���� �������� �������� ������� ���������� ���������, ��� ��������� ����� "Love Unlimited" � ��������� ����� "������, ������" �� ������ �������������� ��� ����� (8 ������). �� ����������� ������ �� ����������� �������� ������ ���� � ����������� ������� �������� � �������� ���������� ��� ������� ���������. "������ �����, ����� � ���������� ������ ��������� ������� �� �����", ������� ���� �� ������� ������ ���� ����� �������� ����� �� �����������. �������� ����������, ��� ���� �� ����� ��� 20-�� ��������� ���� ���������. 27�� ����� �������� �������� ������������� � ��������, ��� ����� ��������� "Love Unlimited", �����, � ������� ��� ������ ������� � �������� ����������� 2012. ��� ���� ���������� � �������� ����������� ������� ���������� �� ������ ���� ��� ������������ �������������� ��� �����. "������ ��� ������" - ��� ��� �������� ��� ������ ������ � ������ ���������", ������� ����������������� ��������, �������, ��� �� ����� ����������� ��� �������� ����, ��� ��������. � ��������� ����� ������ �� ����� ���������� ������ �������� ��� ��������������� �� ���������� � �����������. ����� � ���� ���������� � ��� ������ �������, �������� ��� ��������� ���� ������ �� ������������ ������. "�������, ��� ��� ����� ���������� ������. � ������ �� �������� �� ��������, ����� ��������� ����������� ������ � ���� ������", �������� ������. 06/04 Delivering News First! 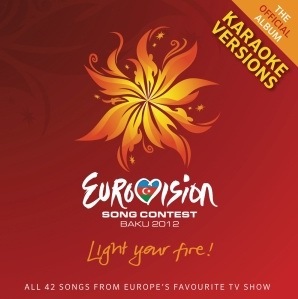 Azerbaijani Transport Ministry announces transport system details for Eurovision Song Contest 2012. Azadlig Square in Baku will be the centre of the stationing of shuttle buses during the Eurovision Song Contest 2012 in Baku, Azerbaijani Transport Ministry spokesman Namig Hasanov told Trend on Friday. 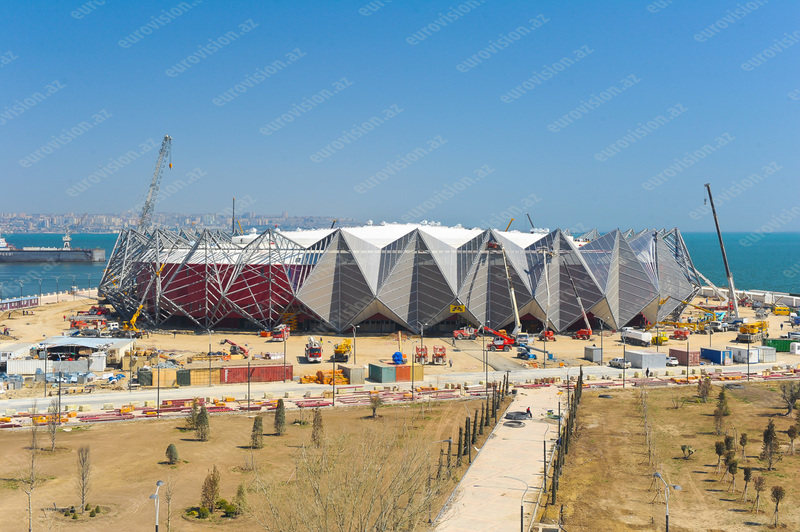 "Buses to transport passengers to the Baku Crystal Hall, Heydar Aliyev International Airport, Baku International Bus Terminal and hotels will be stationed on the square," Hasanov said. Four control stations will also be opened in Baku to facilitate the process of transporting of a great number of people. 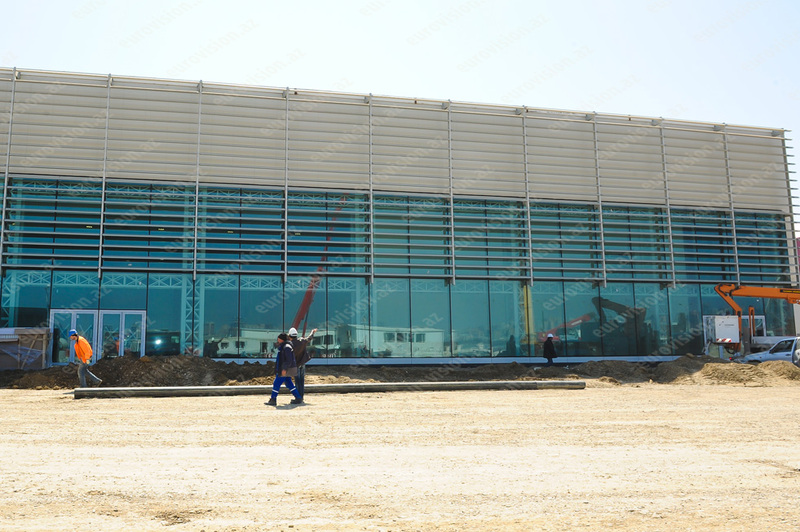 One of the stations will be placed at the Baku Crystal Hall, two on Azadlig Square and one station at the Heydar Aliyev International Airport. Some 22 taxi stops will be established in the central and main areas of the capital, served by London taxi cabs. Hasanov said taxi stops will be established in such places as the Azneft and Fizuli squares, airport, bus station and elsewhere. "Some 220 drivers have been specially trained for driving vehicles involved during the Eurovision Song Contest in Baku," the Transport Ministry said. Hasanov did not rule out the possibility of creating special lanes for the movement of buses in the streets of Baku, involved in aiding guests arriving for the contest. "It is possible that the movement of other vehicles in these lanes will be limited for a certain time," he said. A meeting in connection with preparations for the Eurovision 2012 Song Contest was held at the Azerbaijani Transport Ministry on Thursday. Activities undertaken were discussed at the meeting chaired by Transport Minister Ziya Mammadov. �������� ������������ ������� ����������� ����������� ������������ ������� � ������ ������������-2012�. �� ����� ���������� � ���� ��������� �������� ������������-2012� ������� ������� � ���� ������ ������� ���������� ����������� ���������, ������� Trend � ������� ����� �����-������ ������������ ���������� ������������ ����� �������. ��� ������� ����� ��������������� ��������, ������� ����� ���������� ���������� �� Baku Crystal Hall, �������������� ��������� ������ �����, ���������� �������������� ����������� � ������, � ������ �������. ����� � ������ ����������� �������� ��������������� �������� ���������� ����� � ���� ����� ������� ������ ������������� ������. 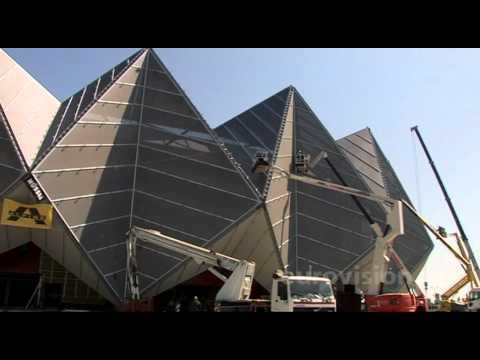 ���� �� ������� ����� �������� � Baku Crystal Hall, ��� � �� ������� ������� � ���� ����� � � ������������� ��������� ������ �����. � ����������� � �������� ������ ������� ����� ������������ 22 ��������� �����, ��� � ����������� ���������� ����� ������������� ���������� ����� London Taxi. �� ������ ��������, ��������� ��� ����� ����� ������������ � ����� ������, ��� ������� ������� � ������, ��������, ���������� � ������. ���� ���������� ������������� ����������, ������� ����� ���������� � ������ ���������� � ���� ��������� ��������, ���������� ���� ������������ 220 ���������, � ������ ����� �����-������ ���������. ������� �� �������� ����������� �������� �� ������ ���� ����������� ����� ��� ������������ ���������, ������������ ��� ������������ ������, ��������� ��� ������� � ��������. ���������, ��� �������� �� ���� ������� ������ ������������ ������� � ������������ ����� ����� ����������, � ������ ��. �������� � ������������ ���������� ������������ ���������� ��������� � ����� � ����������� � ���������� ��������� �������� ������������-2012�. �� ���������, ����������� ��� ������������ �������� ���������� ��� ��������, ���� ��������� �����������, �������������� � ����� � ����������� � ���������� ��������� ��������. 06/04 Delivering News First! 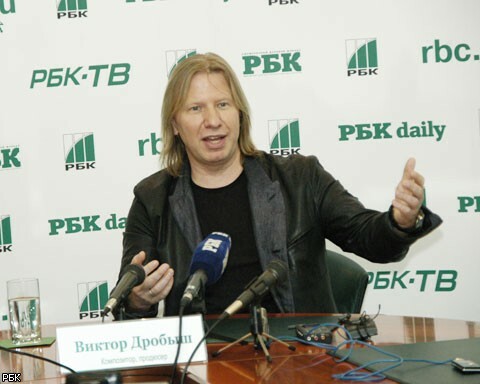 Composer and co-producer of "Buranovskiye Babushki" Victor Drobysh at a press conference at the RBC said that he takes with humor any accusations of plagiarism, but is furious with the entire campaign against the oldest participants of the main European competition of pop songs, started by some Russian media. Drobysh believes that the "Babushki" have every chance to be noticed at "Eurovision". It is possible that in the future, "Babushki" may perform at the Olympic Games in Sochi, and become the Russian analogue to Deep Forest, or "give way" to other similar artists. "There will be no changes in the song. Grannies will sing live, the grannies sing very well live actually, they sing the best they can. By the way, in their tone, intonation, even if for some it seems that there is some falsity, the this is exactly the tone that should be present in this song. I'm absolutely not worried about it, despite the fact that their performance at the preselection had some flaws. We haven't prepared a play-back for them, because it was all done in a very short period of time. And believe me, in this age it is very difficult to remember, so what I've done were some jingles, that set some points: "Here, and this" that they are not mistaken, that they will not split, because it is even difficult for for a young professional artist and for them it was more difficult because the song we have completed just 2-3 days before the preselection. Now they have a vocal coach who deals not only with vocals, but is simply engaged in throughout study of this song, because they have to bring it to automatism, "said Victor Drobysh. Producer is very skeptical of the prospects of "Eurovision" itself. According to producer, competition does not give winners any benefits, as was evidenced by a fleeting glory of Alexander Rybak. In defense of the age of the performers Drobysh said that at "Eurovision" can hang out people of all ages, and besides the appearance of such participants may be a good social program that will help change society's attitude to the problems of the elderly. From the other contestants producer himself noted representative of Sweden. "The Second Channel, in particular Sergei Shirokov, are responsible for staging and I think he will do a good job. But my personal opinion is that in any case they shouldn't be pushed to do what they never did before, all their movements should be common to their natural; lives. And their tasks should be as simply as possible, because it seems to me that their strength is in its immediacy. At the preselection they have performed in their real national village dresses, I've heard versions that may be designer Simachyov will work on their costumes. I am not able to judge now, it will be possible to judge after that, when it will be done. I think we should all try to see - the main thing that the channel is the leader of this project made the right decision. My solution is that it should be as close as possible to the stove, which will undoubtedly be on the stage". "The question about church is closed, it's better not to discuss it, because every side has started to play with it, everyone was speculating on it. Therefore, this question once and for all was solved, because the republic's leadership, and the city and everyone, when only heard about it, immediately responded to these questions and decided this issue, which is by the way, another achievement of grandmothers. There is no need to collect kopecks - everything is done", added Drobysh. ���������� � ���������� "����������� �������" ������ ������ �� �����-����������� � ��� �������, ��� ��������� � ������ � ����������� � ����������� �������, �� �������� ���� ��������� ������ ������� �������� �������� ������������ �������� ���-�����, ����������� ���������� ����������� ���. ������ �������, ��� � "�������" ���� ��� ����� ���� ����������� �� "�����������". �� ���������, ��� � ���������� "�������" ����� ��������� �� ��������� � ����, ����� ���������� �������� Deep Forest ��� "���� ������" ������ ������� �����������. "��������� � ����� ������� �� �����. ������� ����� ���� ������, ������� ���� ����� ������ ������, ��� �����, ��� � ����. ������, � �� �����, ���������, � ���� ���� � ��� ����, ��� ����-��, ������ �����������, �� ��� ��� ��� � ���� ��� ���, ������� ������ �������������� � ���� �����. � ��� ��� ������ ����� ��������� �� ��� ����, �������� �� ��, ��� � ������� ���� �����-�� ������. �� �� ������ �� play-back, ������ ��� ��� ����� �������� ������. � ��������, � ���� �������� ������ ����������, � � �� ������ ��������� ������� � ��������� ��������� �����: "��� ���, ��� � ���", ����� ��� �� ����������, ������ �� ���������, ������ ��� ��� ��� �������� ����������������� ������� � �� ������, � ��� ��� ��� ���� ������ ��� ��-�� ����, ��� �����-�� �� �� ����� �������� ���� �� �� �� 2-3 ���. ������ � ��� ���� ������� �� ������, ������� ���������� �� ������� � ���� �������, ������� ������ ���������� ��������� ���� �����, ������ ��� ��� ������ ������� ��� �� �����������", ������� ������ ������. � ������������ �� ������ "�����������" �.������ ��������� �����������. �� ������ ���������, ������������ �� ���� ����������� ������ ����������, � ��� ������� ���������� ����� ���������� ������. � ������ ���������� �������� ����� ���������� �.������ ������, ��� �� "�����������" �������� ���������� ���� ���� ���������, � ���� �� ��������� ����� �������� ����� ���� ������� ���������� ����������, ������� ������� �������� ��������� �������� � ��������� �������. �� ������ ������������ ��� �� �������� ������� ����������������� �� ������. "����������� ������ ���������� ������ �����, ��������� ������ �������, � �����, ��� �� ��� ������� ������� � ������. � ��� ������ ������, �� � ���� ������ �� ���������� �� ������ ��, ���� ��� �� ������ ������, �� ���� ��� �� �������� ������ ���� �� �� �����. � ��� ����� ����������� ��������� ������, ������ ��� ��� �������, ��� �� ���� � �� ������������������. ��������� ��� �� ������ � �������� ������������ ����������� ������, � ������ ��������, ��� �������� �� ������� ���-�� ������� �� ��������. � �� ������ ������, ������ ����� ����� ����, ����� ���-�� ����� �������. ��� �������, ����� ��� �����������, ���������� - �������, ����� �����, ������� �������� ������������� ����� �������, ������ ���������� �������. ��� ������� � ��� ������ ���� ����������� ���������� � �����, ������� ���������� ����� �� �����". "������ � ������ ������, ��� ��� ����� �� ���������, ������ ��� ������ �� ��� ������ �� ���� ������, ����������������� ���, ���� ������ �����. � ����������� ����������, � ������ � ���, ����� ������ ��� ��� ��������, ����� ������������� � ������� ��� ������� - ������, ��� ���� ���������� �������. �� ���� �� �������� �������� � ��� �������", ������� ������. � ������ ������� �����-����������� ����� ������������ �����. 05/04 Delivering News First! Albanian entrant Rona Nishliu is also starting her promotional tour. Tomorrow, on April 6th she will visit Montenegro. Interview with Mitrovica-born singer representing Albania will be broadcasted at 11.10 in the morning in Cafe show on TVCG2. Every working day Cafe show is also broadcasting preview videos of ESC 2012 entrants. Earlier, Montenegro has been visited by the Turkish entrant Can Bonomo, who appeared on programs of TVCG, TV Atlas, met with newspaper journalists and attended the dinner in Turkish embassy. ����������������� ������� ���� ������ ����� �������� ���� �����-���. ������, 6�� ������, ��� ������� ����������. �������� � ��������� � ��������� �������, ����������� �� �������, ����� �������� �� TVCG2 � 11.10 �������� ������� � ��������� Cafe. ������ ������� ���� � ��������� Cafe ������������� ������-���������� �����-�������� ����������� 2012. �����, ���������� ������� ������������� ������ ���� ������, ������� ������ ������� � ���������� �� TVCG, TV Atlas, ���������� � ��������������� �������� ������ � ������� ����� � ���������� ������. 05/04 Delivering News First! Hungarian entrants Compact Disco have visited neighbouring town of Cluj-Napoca in Romania. Promotion in Transylvania has been always important for Hungarian entrants, and it was the second visit of the band there, last year they performed with a concert. At the press-conference given in this town, members of the band Behnam Lotfi and Gabor Pal have declared that they are going to Baku for the victory: "We usually say that we're participating to win, as otherwise what is the reason of taking part. But we will not be disappointed if we finish, let's say, sixth too". The tasks group have put can be divided in three: maximum is the victory at the contest, middle one - best ever result for Hungary, and the minimum is - to do better than Hungary did last year. "There are a lot of strong songs, but we think that our song is a little more serious, which we believe will be our advantage", said Gabor Pal, and added that they have been receiving positive feedback from fans from other countries, like from Spain or Nothern Ireland. The confidence is added to the fact that the band has already signed recordning contact in 13 countries, including Poland, Benelux countries and Turkey. "If all goes well and the CD is released in this countries and local labels promote the entry there, then we can expect a lot of votes" - says Behnam Lotfi. On March 21st the group has visited Vojvodina in Serbia, where they gave numerous interviews to local radio stations: Radio Regije, Temerin, Pannon, Subotica, Backa Topola, appeared on Express TV Channel and spoke to some newspapers. ������������� ������� Compact Disco �������� ����������� ����� ����-������ � �������. ��������� � ������������� ��� ������ ������ ��� ���������� �� �������, � ��� ����� ������ ������� ������ � �����, � ������� ���� ��� ��������� ��� � ���������. �� �����-�����������, ������� ���������� � ���� ������, ��������� ������ ������ ����� � ����� ��� ������� � ���, ��� ��� ���� � ���� �� �������: "�� ������ �������, ��� ��������� ���� ������, � ����� ����� �� ������ �����������. �� �� �� �����������, ���� ������, ������, ������ �����". ������ ��������� ���� ��� ����� - �������� - ��� ������ �� ��������; ������� - ������ ��������� � ������� �������; � ������� - ��� �����, ��� ������� ��������� � ������� ����. "����� ����� ������� �����, �� ��� �������, ��� ���� ����� ������� ����� ��������, ���, ��� �� ��������, �������� ����� �������������", ������� ����� ��� � ���������, ��� ��� �������� ���������� ������ �� ����������� �� ������ ������ �����, �������� �� ������� ��� �������� ��������. ����������� ������ ������� � ��� ����, ��� ��� ��� ��������� �������� � �������� � 13 �������, ������� ������, ������ ��������� � ������. "���� ��� ������ �� �����, � ���� ����� ������ � ���� �������, � ������� ������ ����� �������� � �� ���������, �� �� ������� �������� ����� �������", ������� ������ �����. 21�� ����� ������ �������� ��������� � ������, ��� ���� �������� ���� ������� ������������: Radio Regije, Temerin, Pannon, Subotica, Backa Topola, ��������� �� ������ Express TV, � ���������� � ��������������� �������� ������. ����� ������ ��� ��� ����������� ������� �� �����, Retrobeat Radio Mix � Retrobeat Extended Mix, ������� �� ���� �������� � ����� �� iTunes. �������� ����� �������� ������� ������� �� HRT2 ����� � 13.30 �������� �������, � ������ ����� ����� ������� ����� ��������� �� Youtube. 05/04 Several national official Eurovision websites also are running polls for Eurovision 2012 entries. On German website the leaders are Germany (7.33), Greece (7.17), The Netherlands (7.00), Norway (7.00) and Ireland (6.20). The voting on Azerbaijan site has the following favourites: Ukraine (50), Sweden (47), Azerbaijan (47), France (36) and Russia (33) ��� ������������ ����������� ������ ����������� ��������� ������ �� ����������� ������ ����� �������� 2012 ����. �� �������� ����� �������� �������� �������� (7.33), ������ (7.17), ���������� (7.00), �������� (7.00) � �������� (6.20). 04/04 Delivering News First! Moldovan entrant Pasha Parfeny has visited neighbouring Bucharest. He has appeared there in a show Confesiuni on TVR2, hosted by Juliana Marciuc. Pasha said he feels at home in Romania: "Usually artists do a tour before the contest. You might thing that I'm doing it now, but I came to Romania to friends, not for PR... it's not my first time in Bucharest, I feel at home here". Pasha has also noted some similarities between Romanian and Moldovan entries: "This year both Romania and Moldova continue Balkan traditions, in my song and in song of Mandinga there are folk infuences. Some like this kind of music, some don't. But you can't please everyone anyway. So let us enjoy our local music! I think that Eurovision should go cheerfully, without emotions - they do not help anything. To be a good artist, we need to know priorities. And my priority is to get on the stage to sing". Pasha Parfeny is known to Romanian audience as winner of Grand Prix in 2009 George Grigoriu festival in Braila and also took part same year in "Golden Stag" and Mamaia. ������������� ������� ���� �������� ������� �������� ��������. ��� �� ������ ������� � ��� Confesiuni �� ������ TVR2, ������� �������� �������� ������ ������. ���� �������, ��� ��������� ���� � ������� ��� ����: "����� ������������ ������� ������ ������������ � ���. �� ������ ��������, ��� ������ ���� � ������ � ���������, �� � ������� � ������� � �������, � �� ���� �����... � �� � ������ ��� � ���������, � �������� ���� ����� ��� ����". ���� ����� ������� ��������� ����� ����� ����� ���������� � ��������� ����������� �������: "� ���� ���� � �������, � ������� ������� ���������� ���������, � ���� ����� � ����� �������� ���� ����������� �������. ��������� �������� �������� ������, ����-�� ���. �� ������� ���� ���������� ����������. ������� ������� ������ �������� ������������ �� ����� ������� ������! � ������, ��� ����������� ������ ���� �������, �������� ������ �� �������� ������. ��� ����, ����� ���� ������� �������� - ���� ����� ���� ����������. � ��� ��������� ������ - ������ ����� �� ����� � �����". ���� �������� �������� ��������� �������� ��� ���������� ���� ��� �� ��������� ��. ������ �������� 2009 � ������, � ����� � ��� �� ���� �������� ������� � "Golden Stag" � ������.